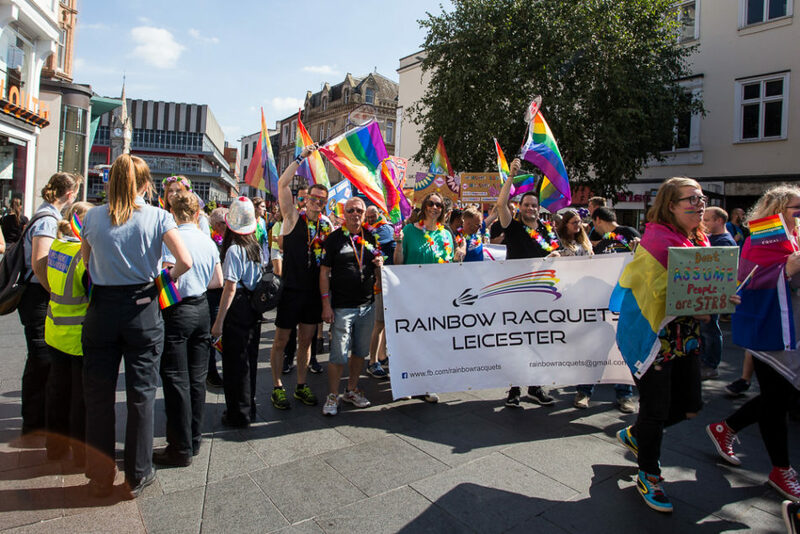 Leicester Pride was celebrating its 10th year on Saturday 1st September, and I’ve been along and covered Leicester Pride for the past 7 years, since one day back in 2011 deciding to venture out into town and Leicester Pride was taking place when I got there. 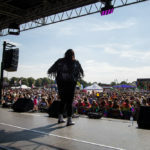 It’s always a fun event, come rain or shine, and this year was no different. 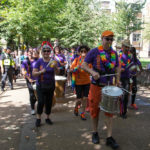 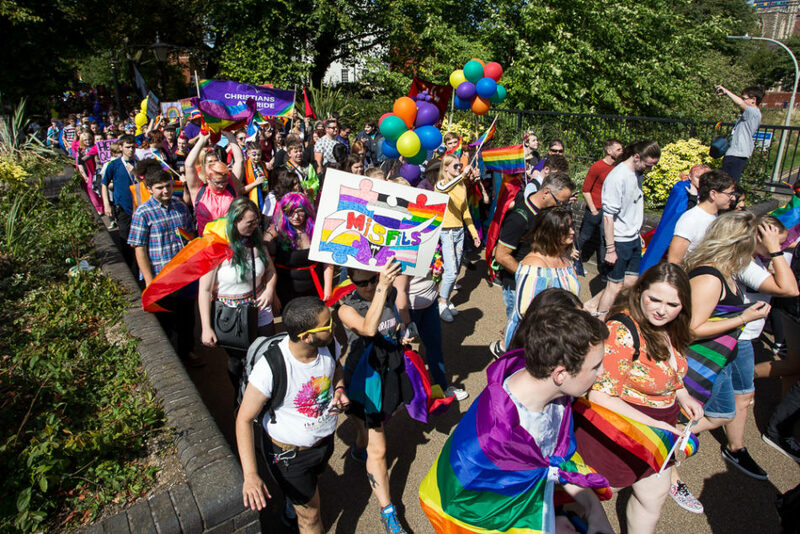 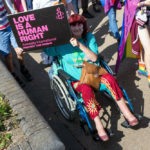 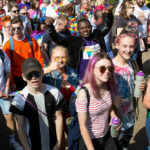 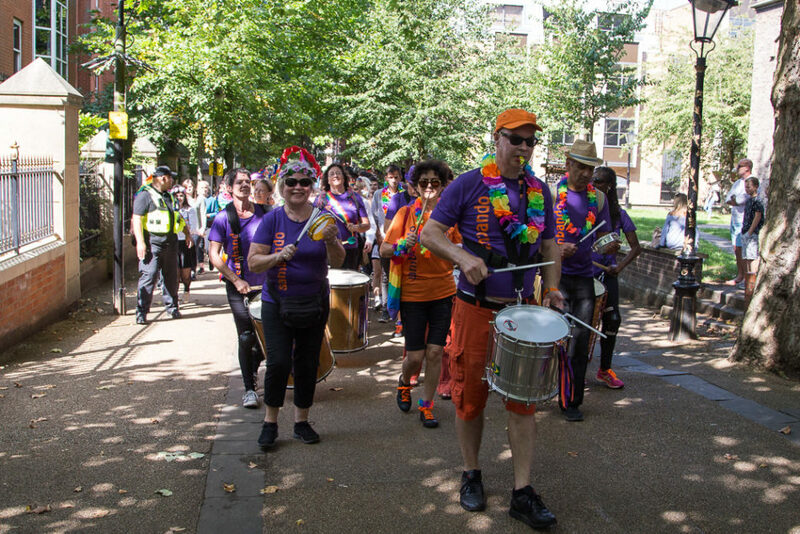 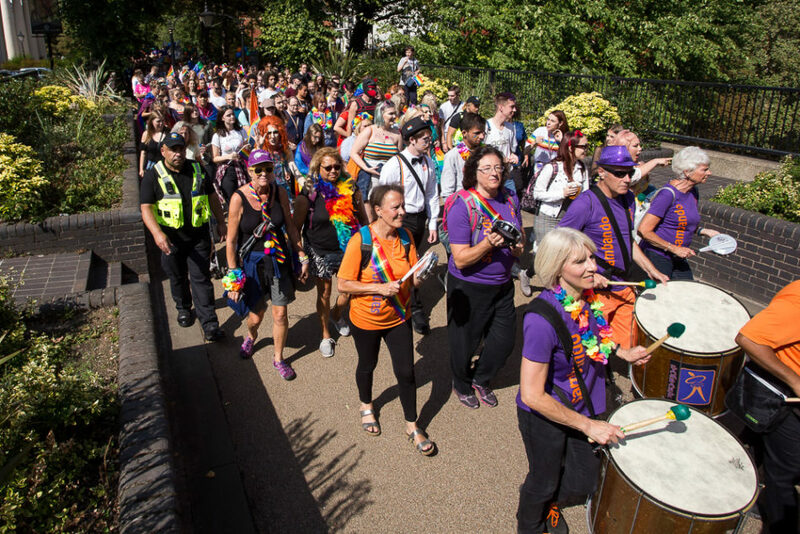 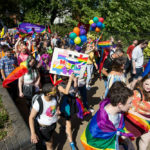 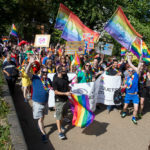 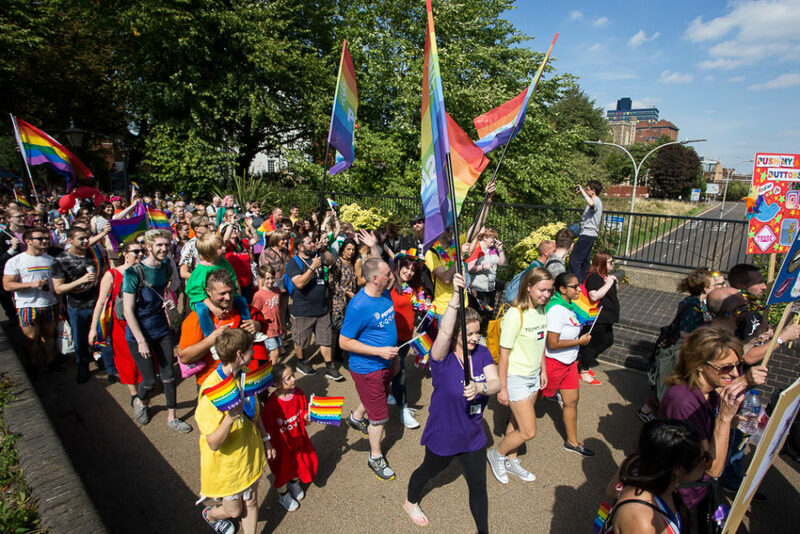 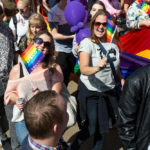 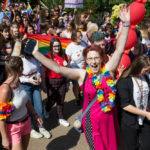 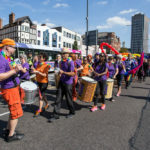 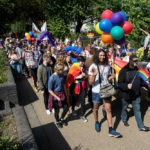 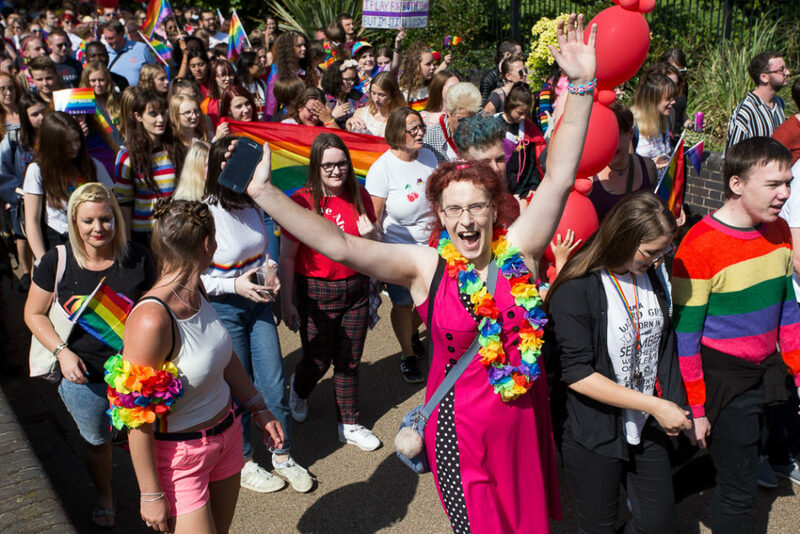 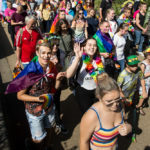 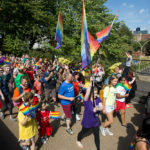 The main part of the day takes place on Victoria Park in Leicester, with the parade starting in the city centre at noon, taking roughly an hour to work its way through the city streets and towards the park. 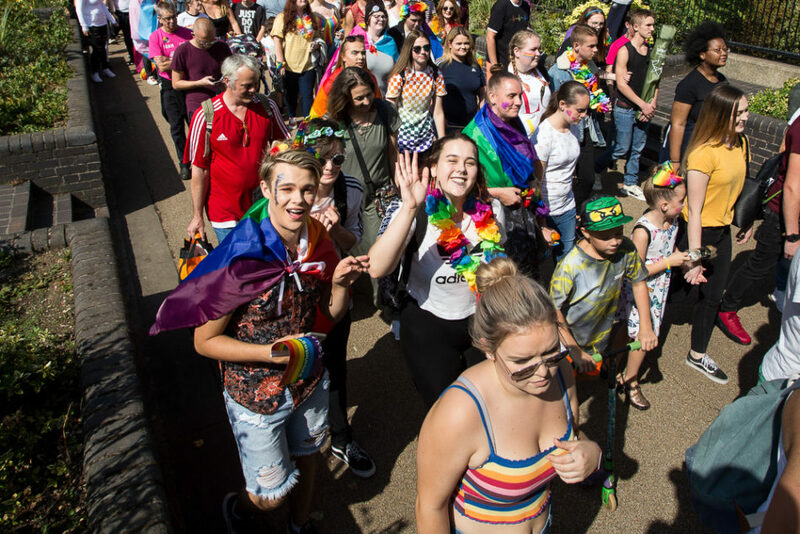 I arrived at Victoria Park, collected my pass and then walked towards Curve, where people gather before the parade sets off. 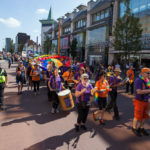 Instantly I noticed that there seemed to be a lot of people gathering around Curve before setting off, and indeed this ended up being the most attended Leicester Pride event I think I’ve been to. 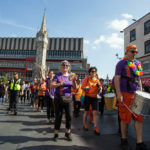 The parade set off a little earlier than planned and as I was chatting to another photographer when I arrived, I didn’t get much of a chance to take any photos before the parade started up. 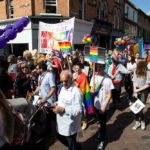 I took my usual place at the front of the parade with the intention of taking photos of everyone passing by, right until the back of the parade, but due to it being so well attended this year I decided about half way through to head off to my second location so I wouldn’t miss the front of the parade there. 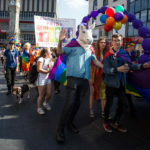 Throughout the route I managed to take photos of the parade in about 4-5 different locations, and everywhere there were a lot of people supporting the event in the city. 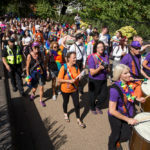 Moving through the city, the parade arrived at Victoria Park jus about on time, but that was the front of the parade, so for everyone in the parade and anyone else wanting to come into the park, there was a bit of a wait trying to get everyone in safely. 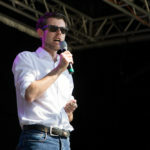 The events on the main stage were meant to start at 1pm with local MEP Rory Palmer kicking things off, but we were probably running about 20-30 minutes late when things got started. 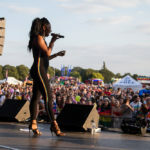 Throughout the day, running until around 8pm there were things happening on Victoria Park. 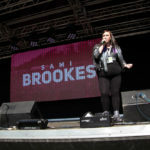 I stayed around the main stage area, occasionally taking a walk around the site to meet up with a few people and then making my way back to the main stage. 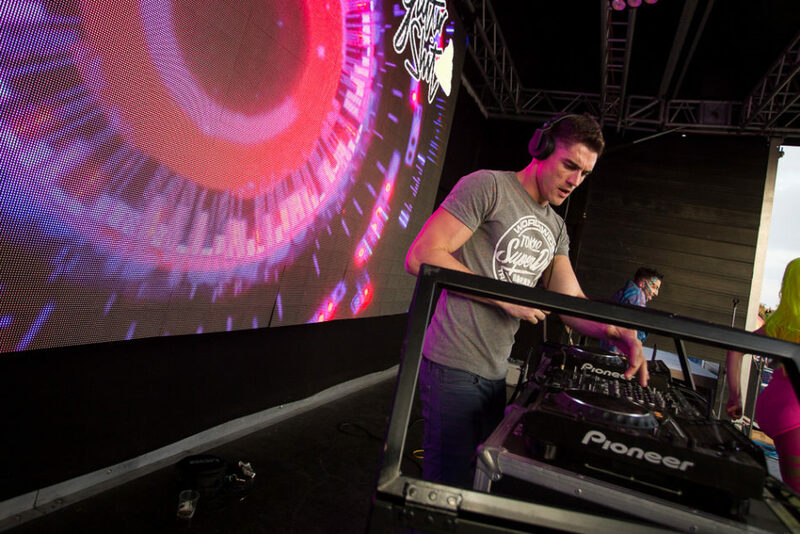 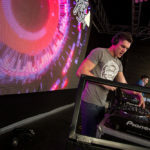 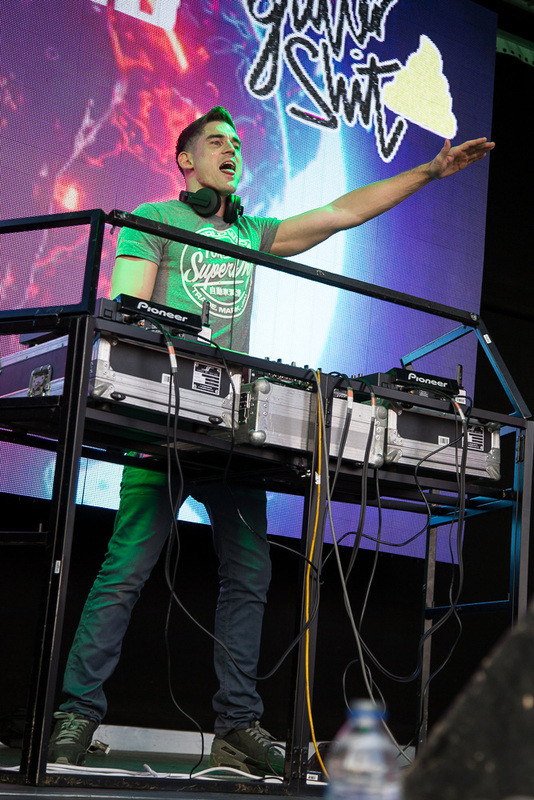 There were fairground rides, food stalls, DJ tent, general information and much more. 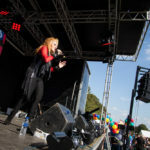 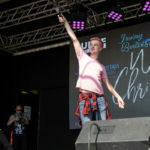 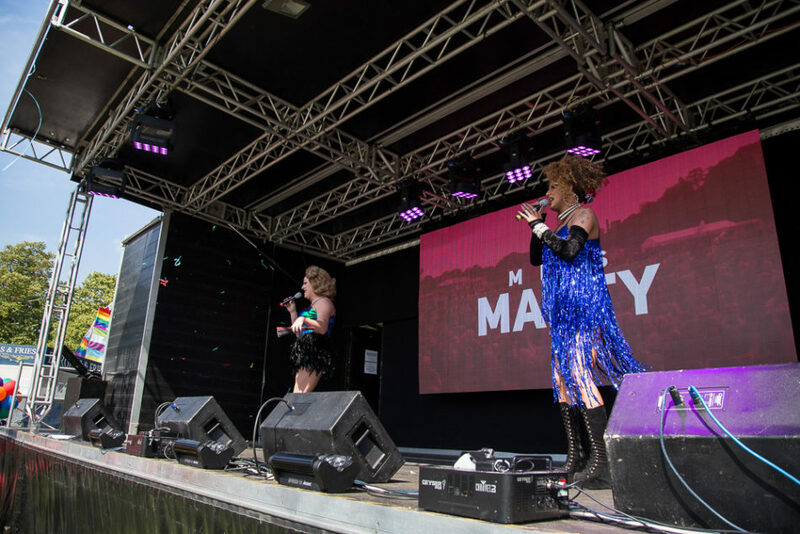 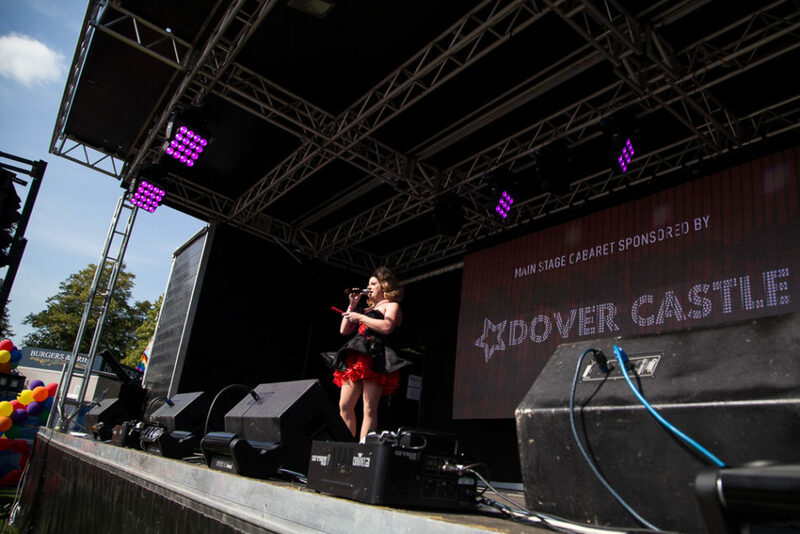 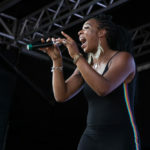 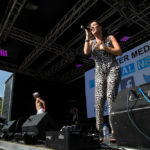 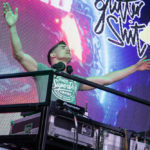 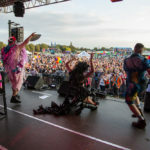 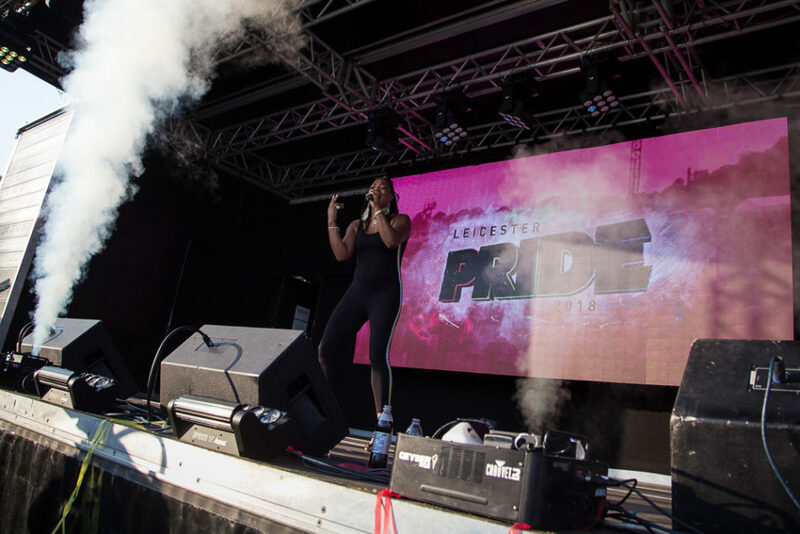 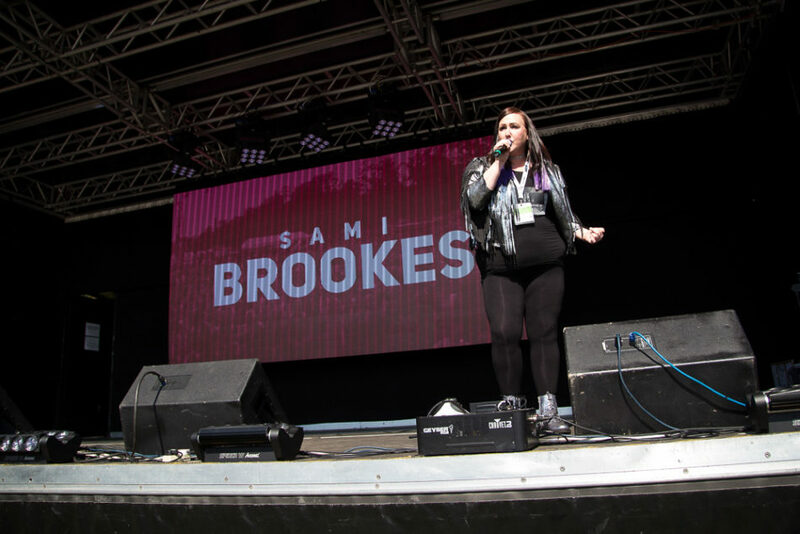 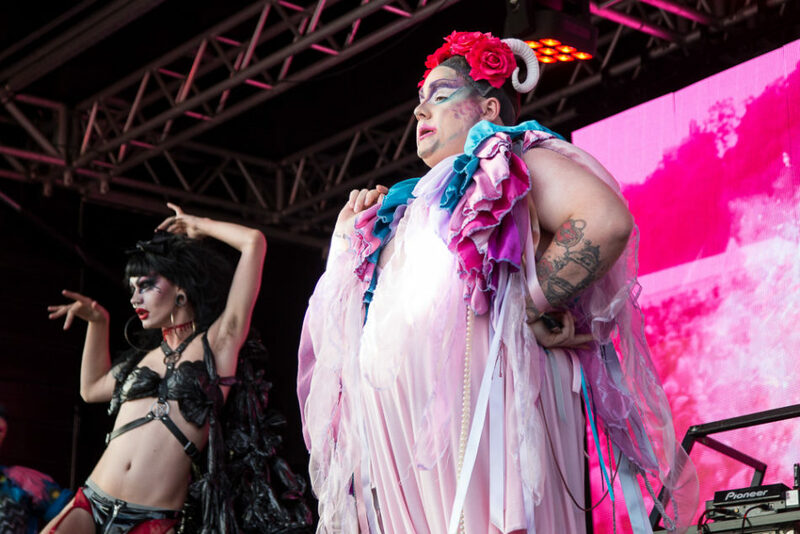 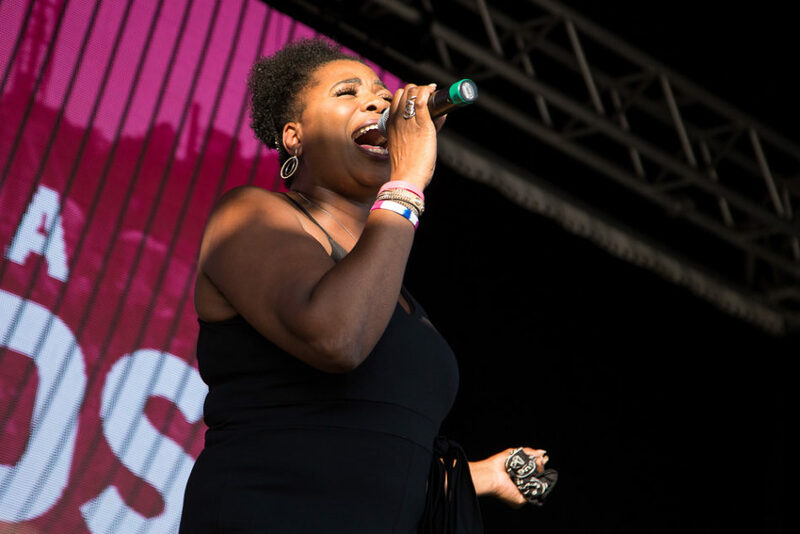 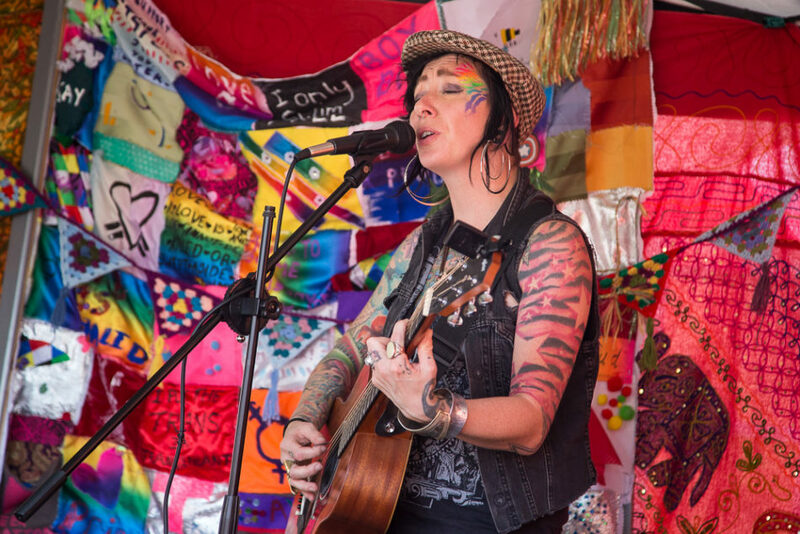 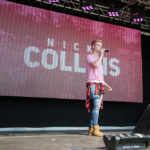 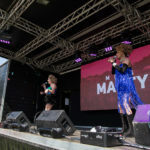 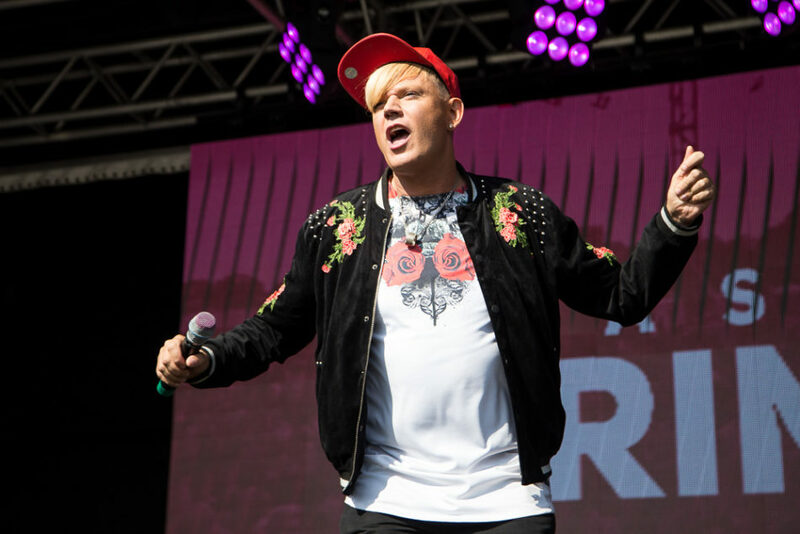 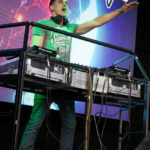 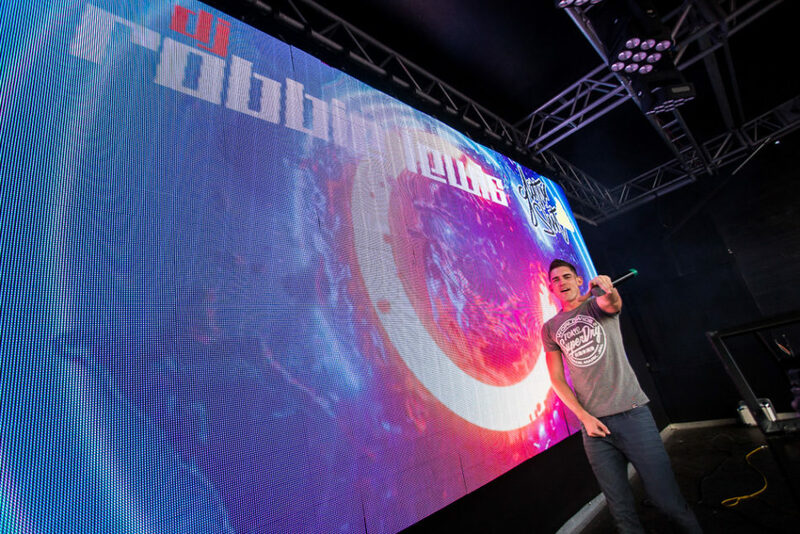 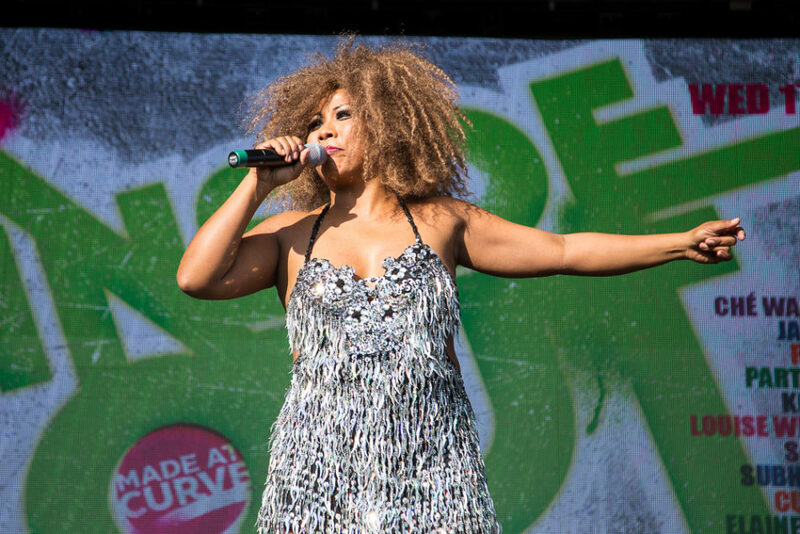 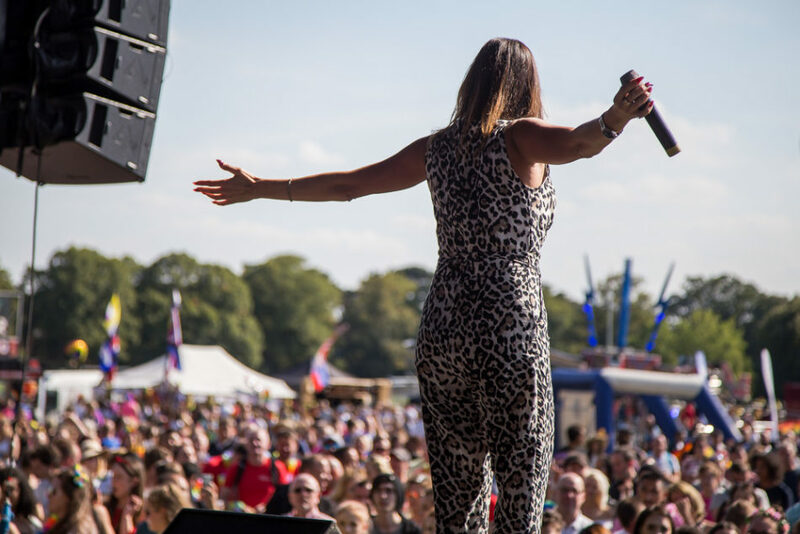 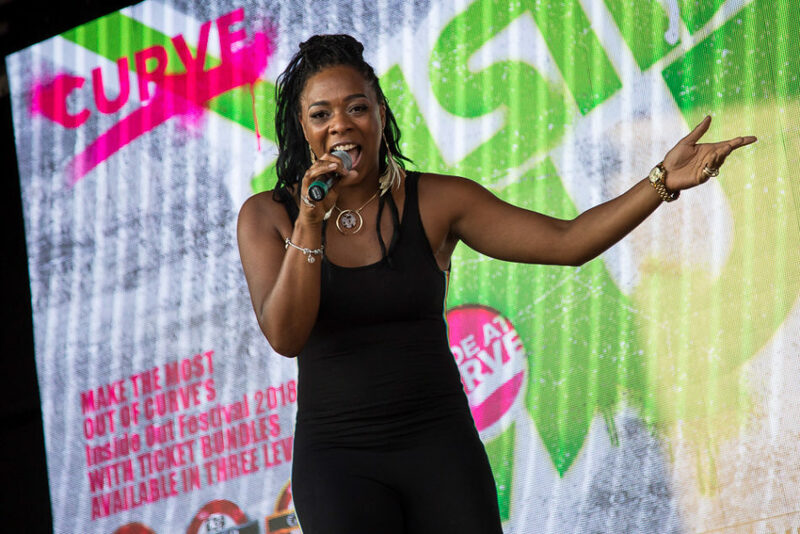 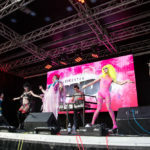 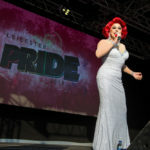 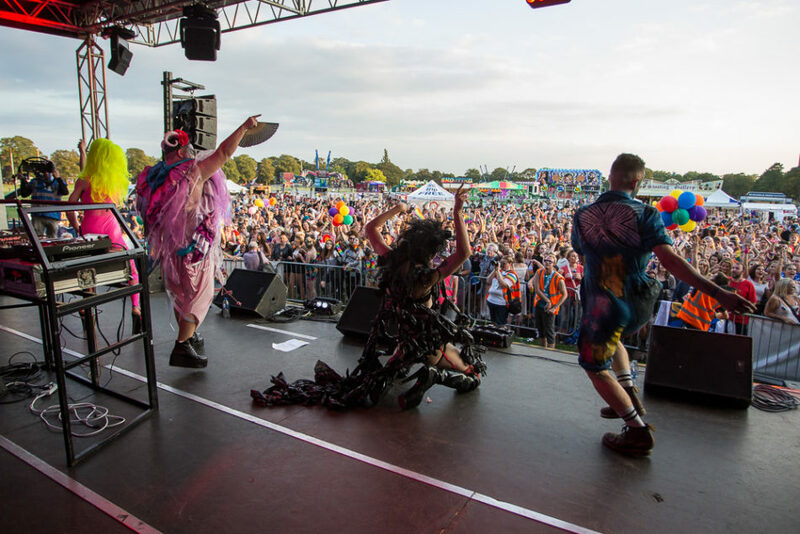 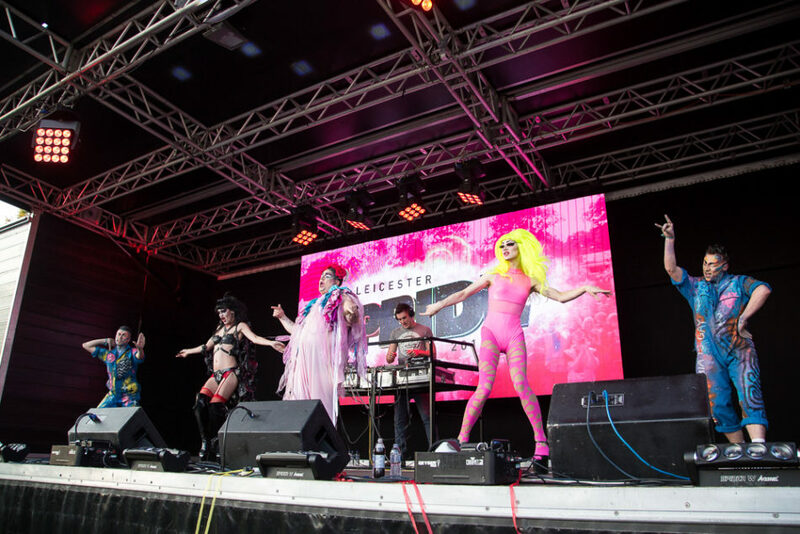 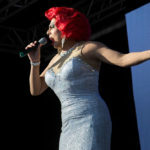 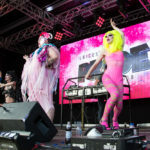 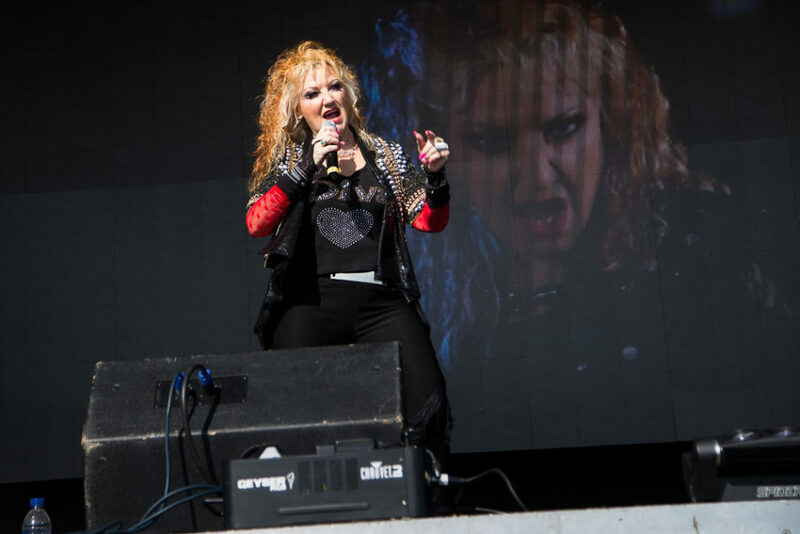 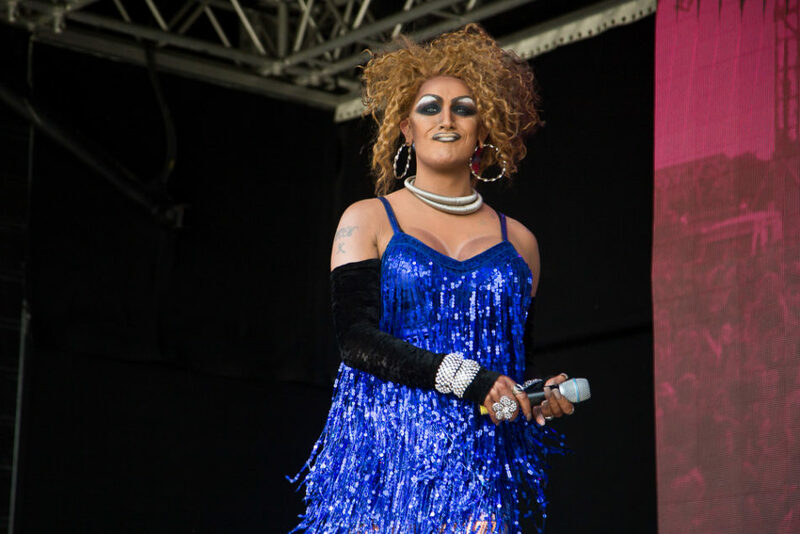 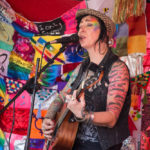 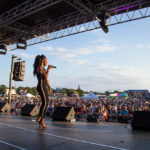 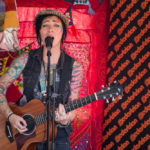 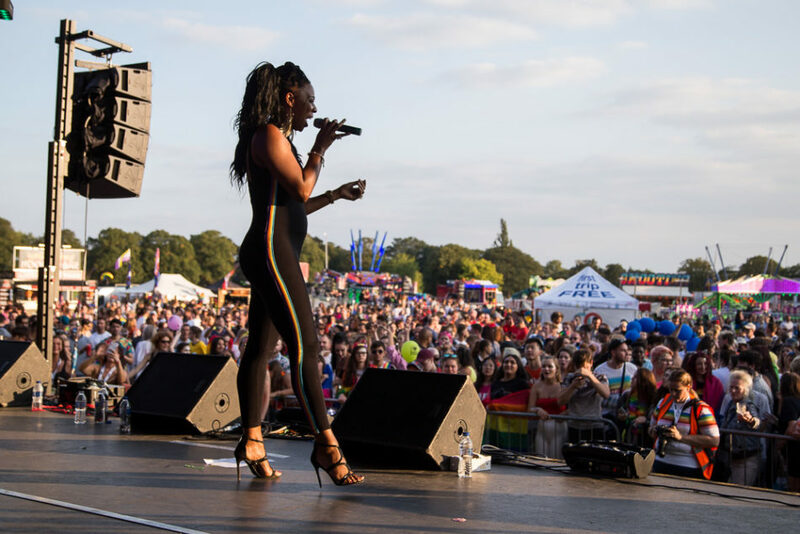 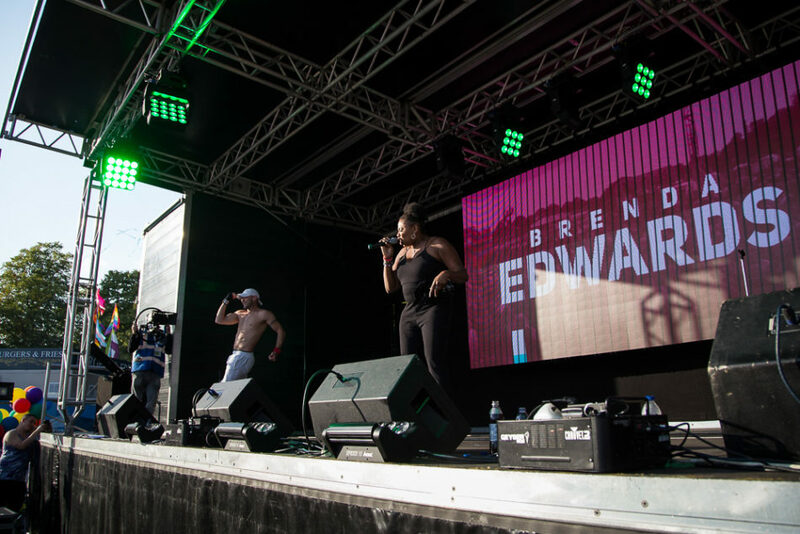 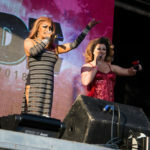 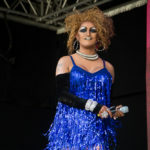 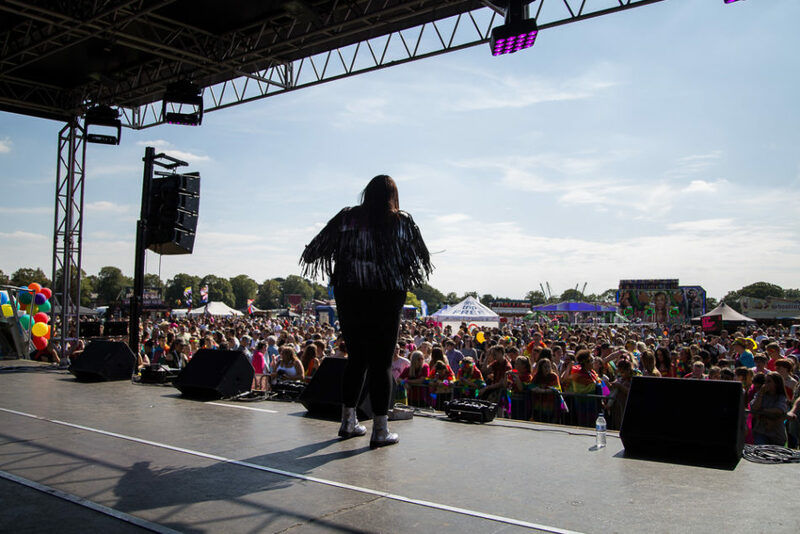 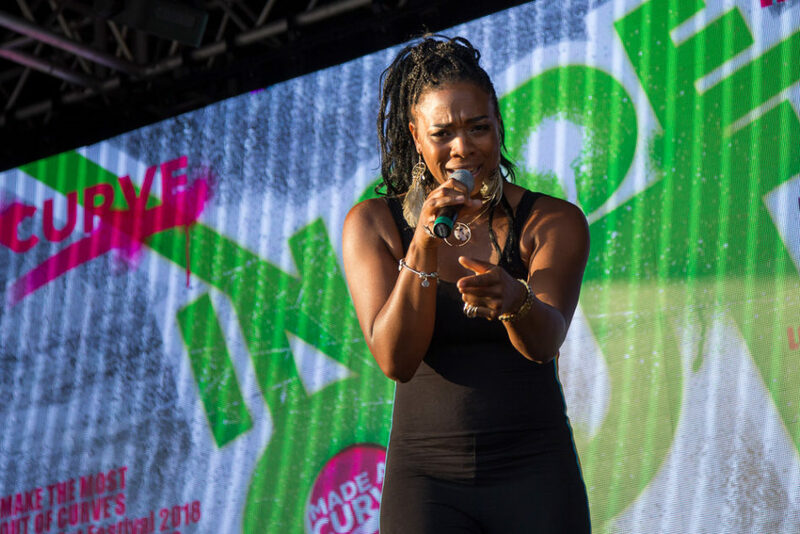 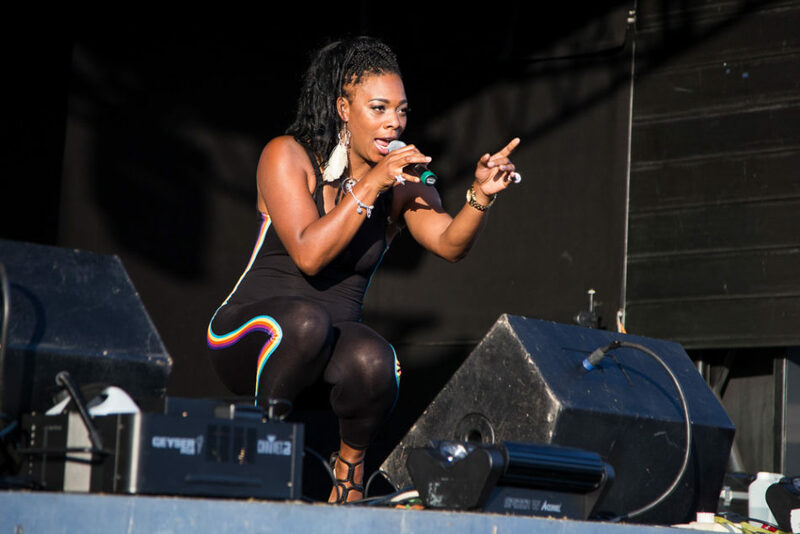 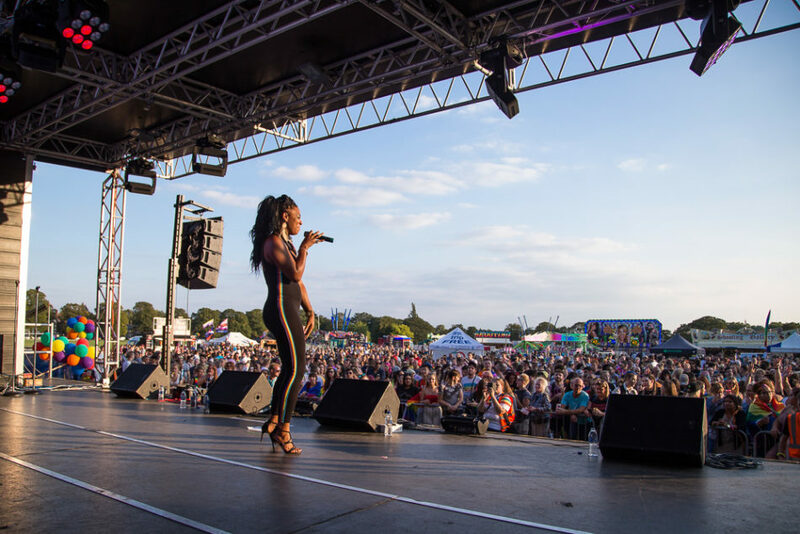 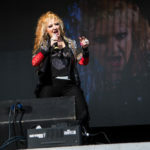 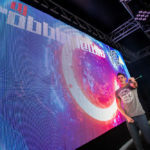 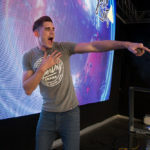 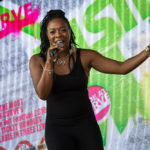 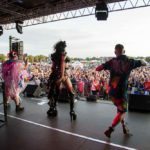 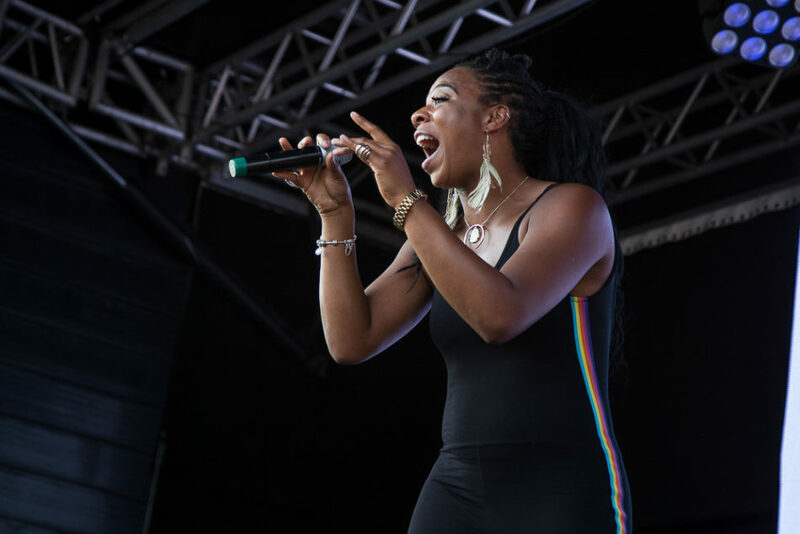 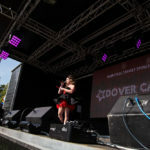 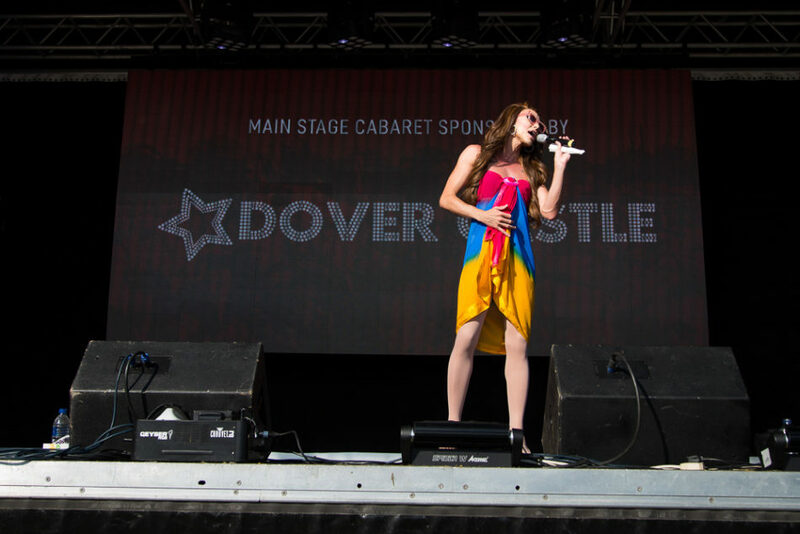 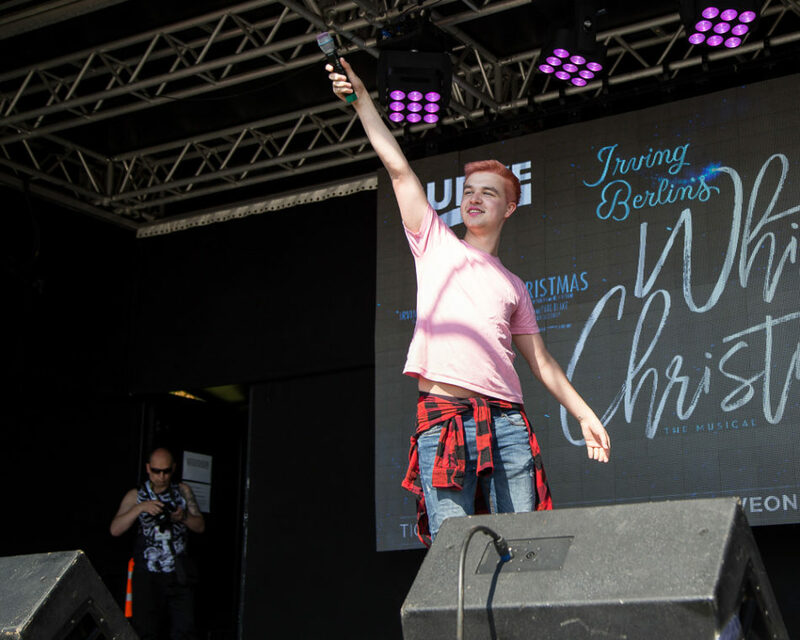 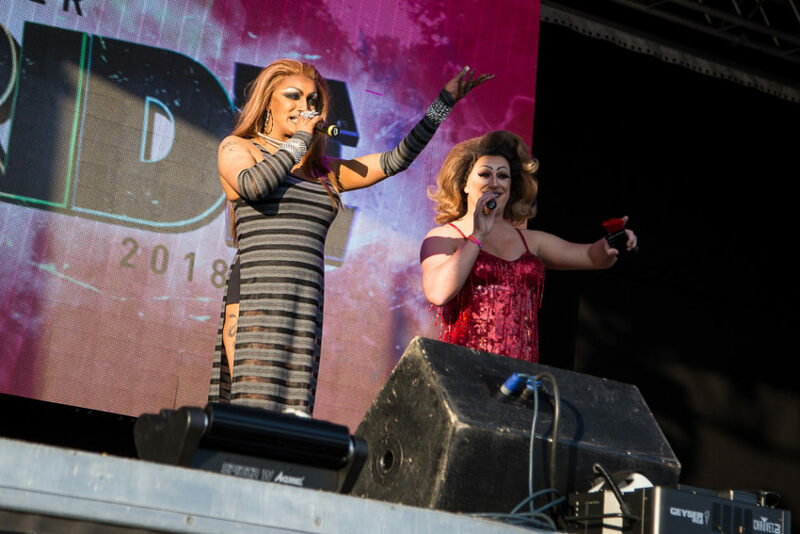 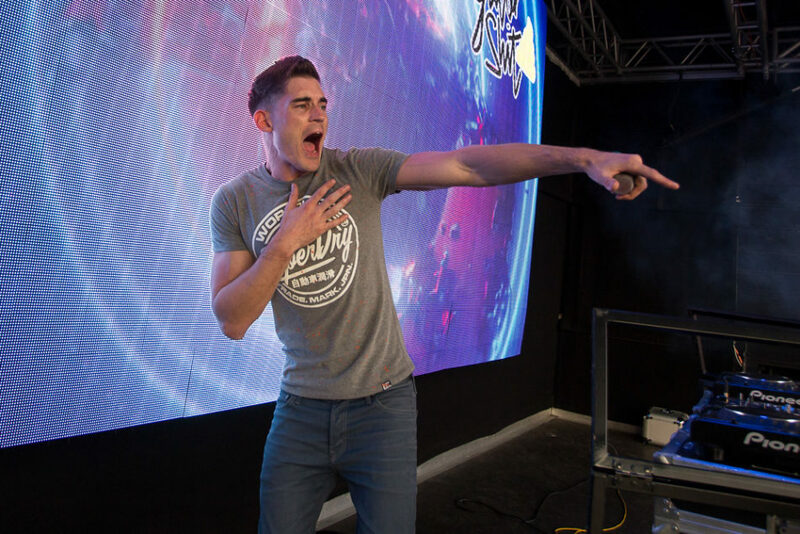 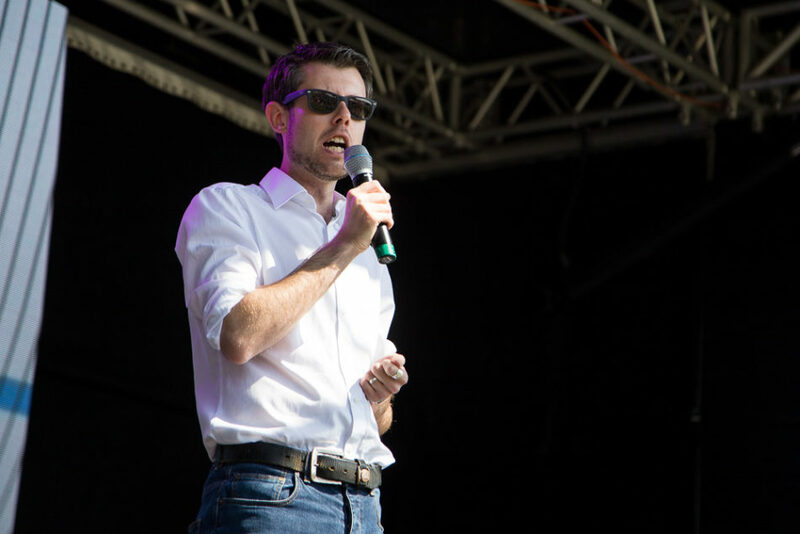 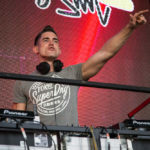 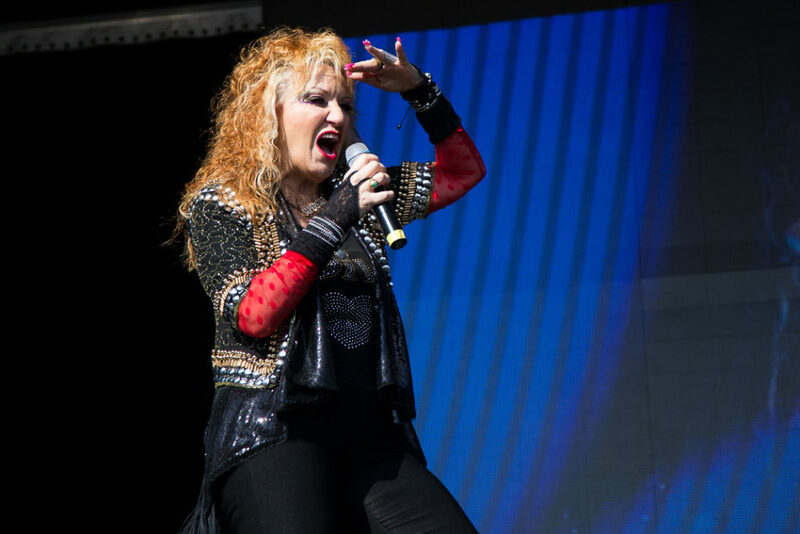 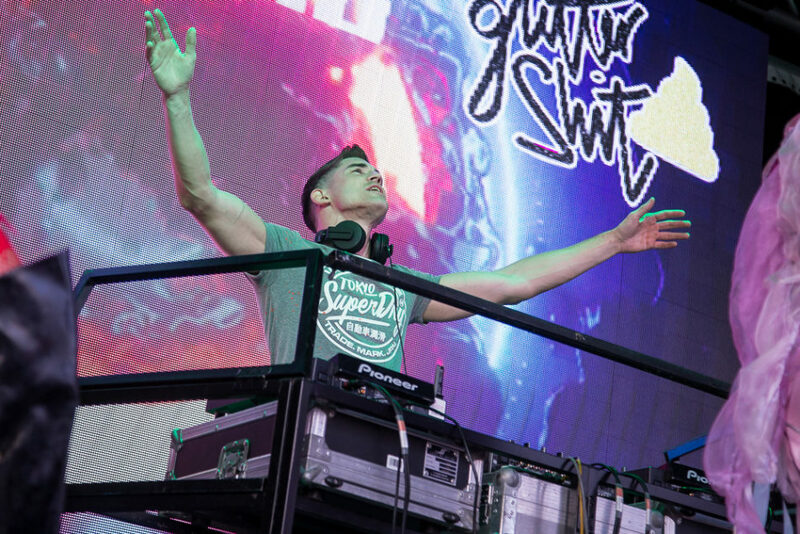 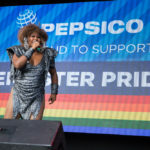 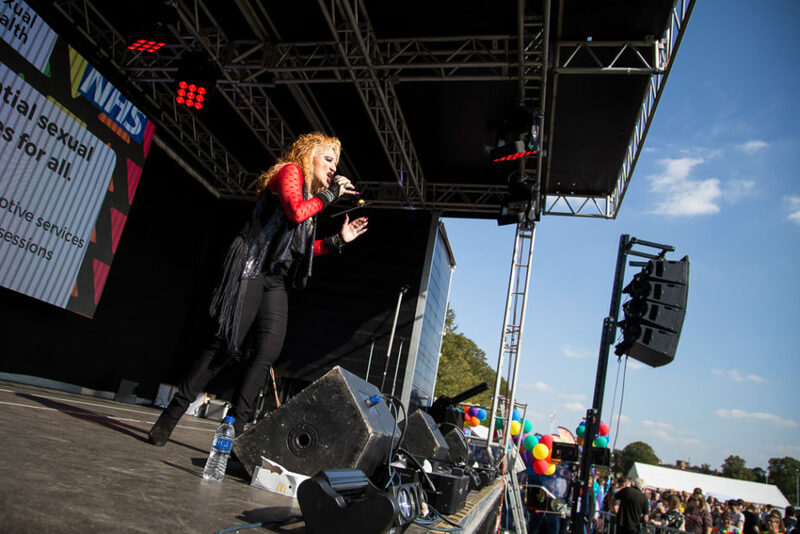 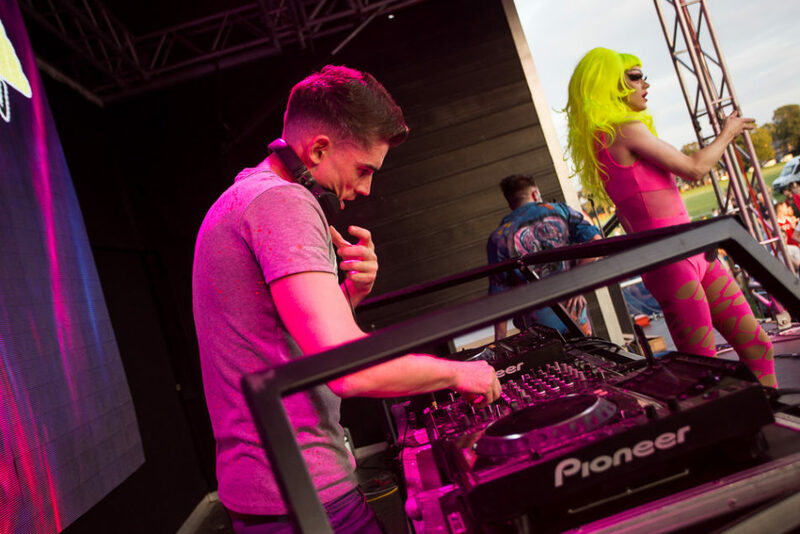 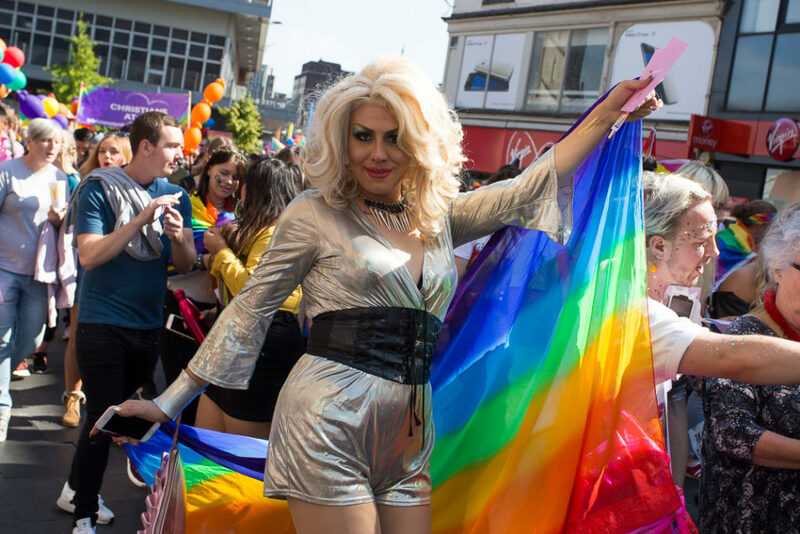 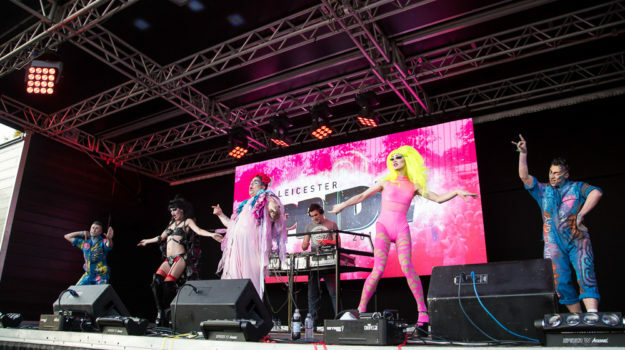 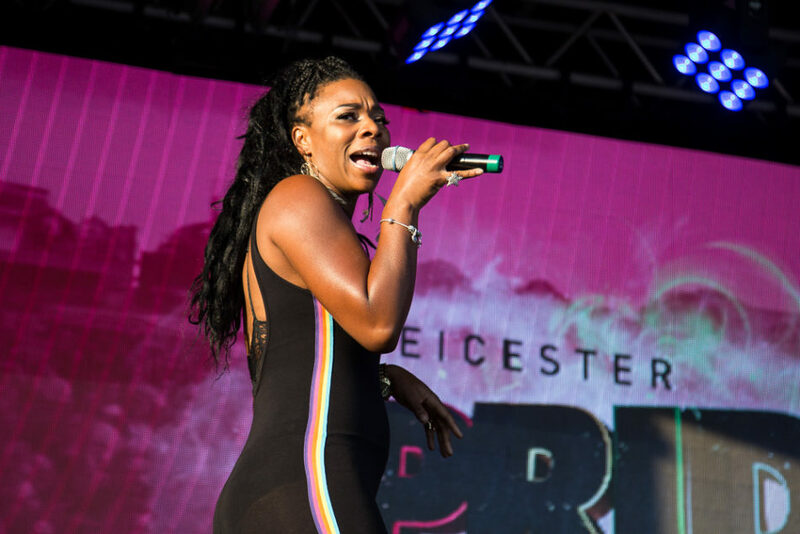 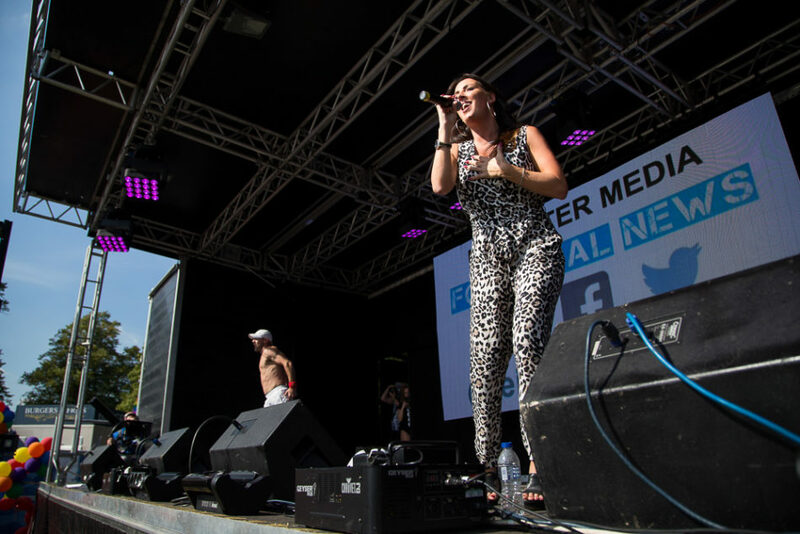 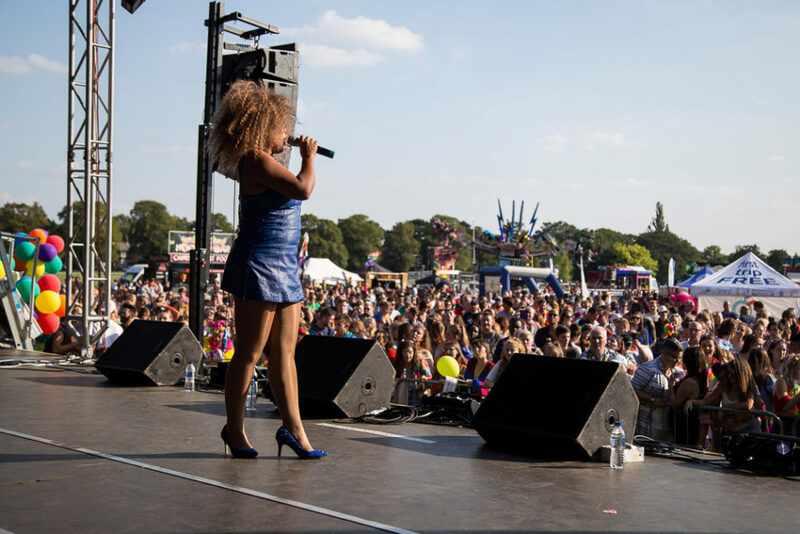 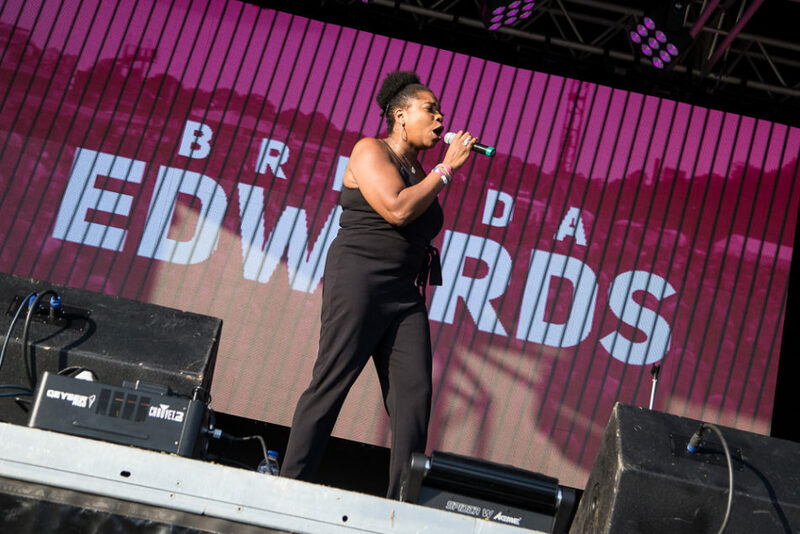 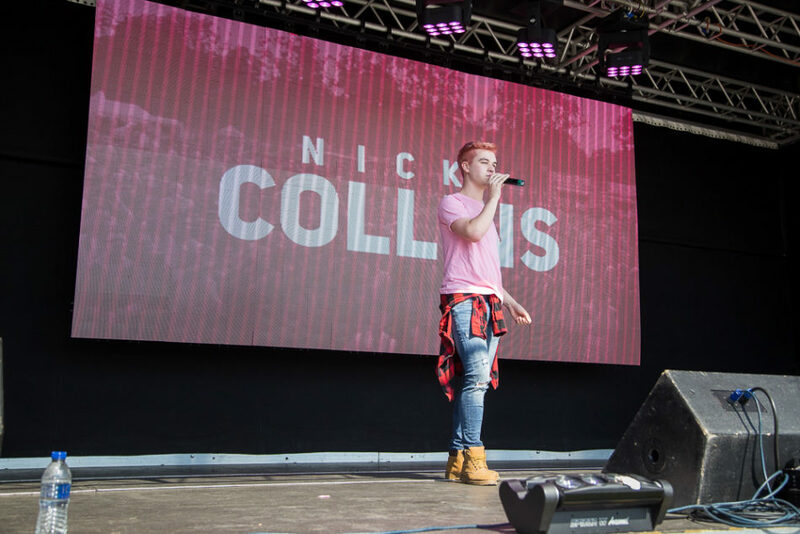 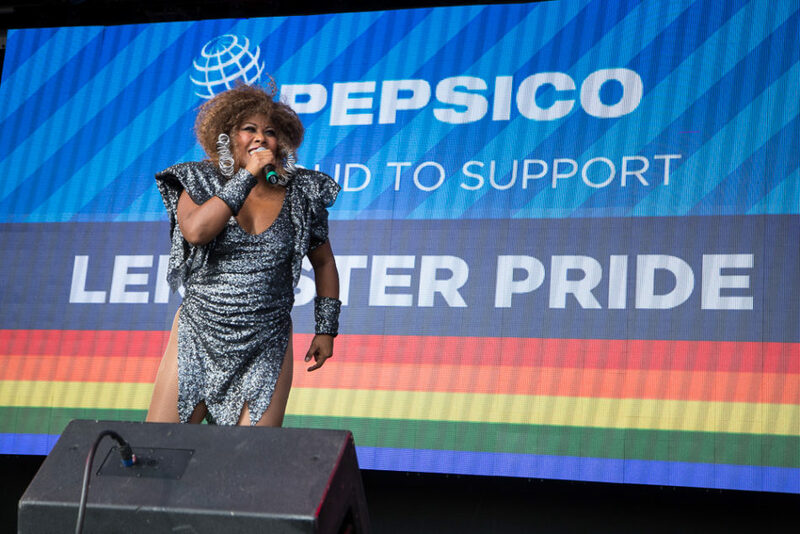 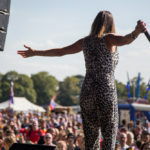 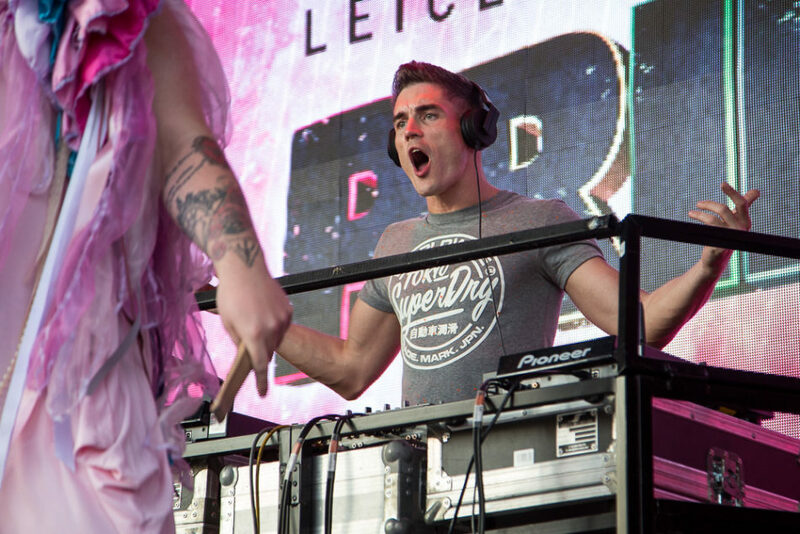 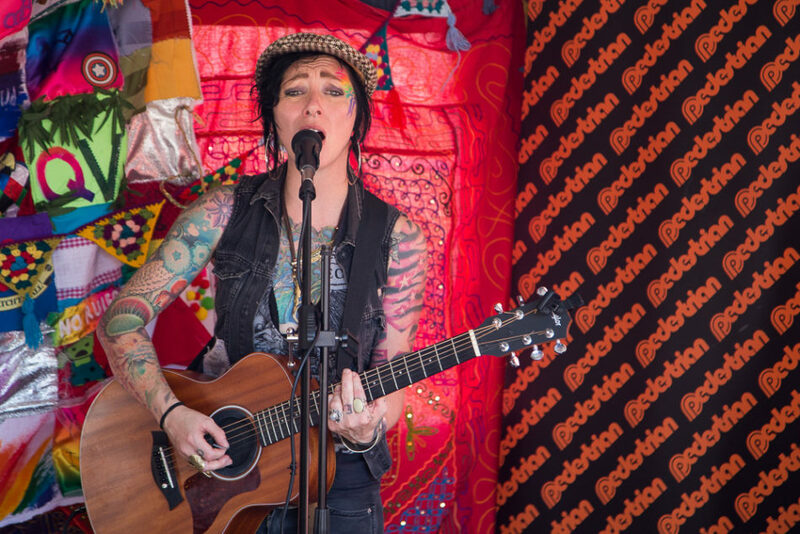 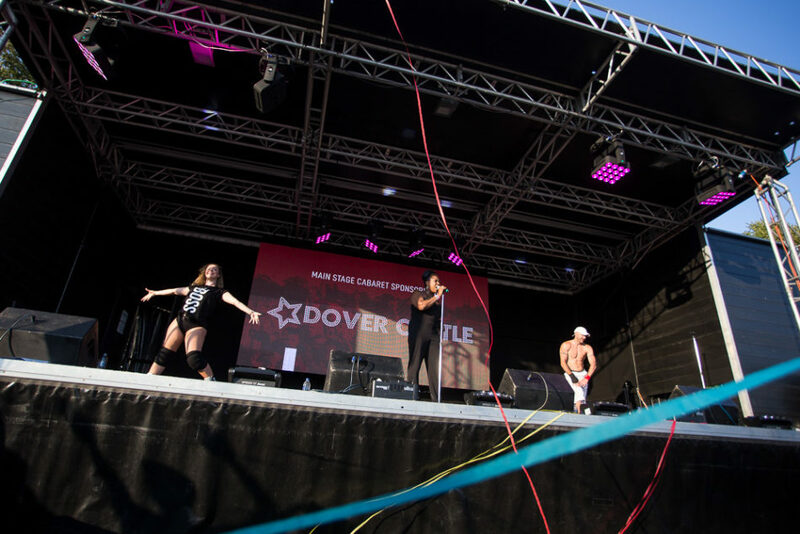 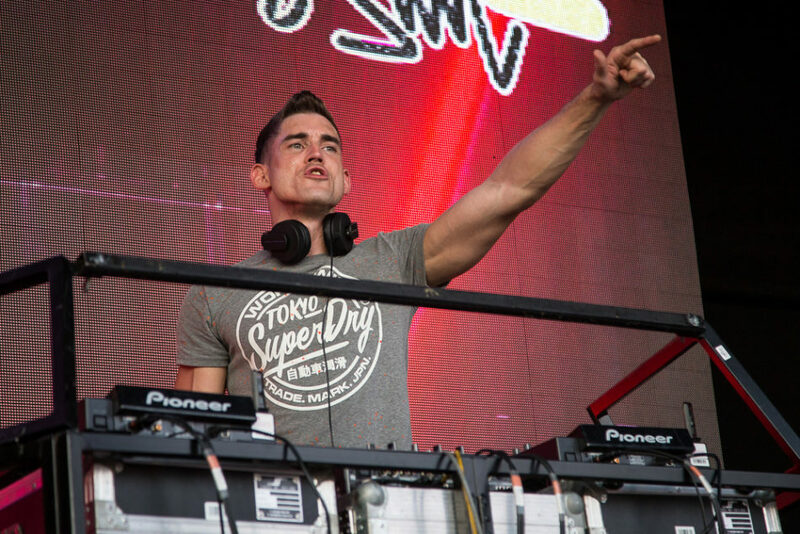 Entertainment on the main stage consisted of a variety of acts, from local drag acts Miss Marty, Fanny Burns and KY Kelly, to DJ Robbie Lewis headlining from around 7pm. 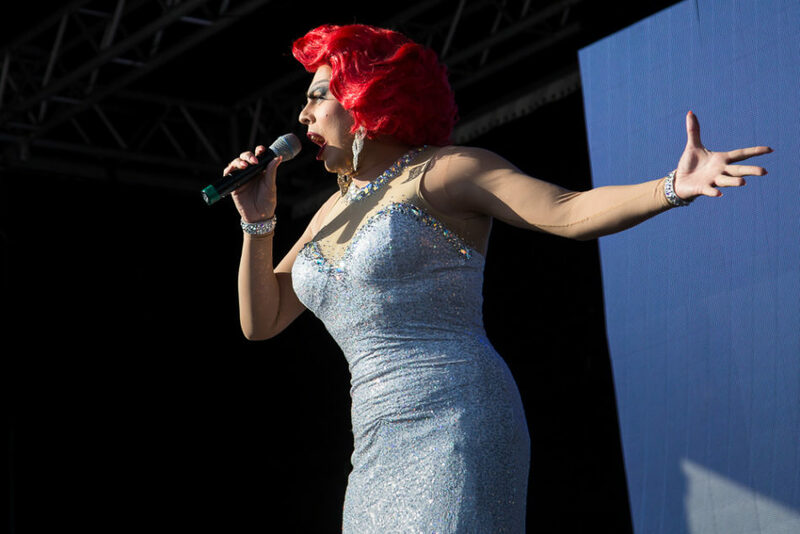 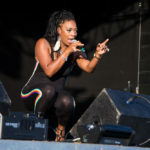 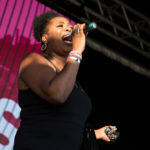 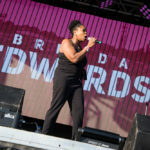 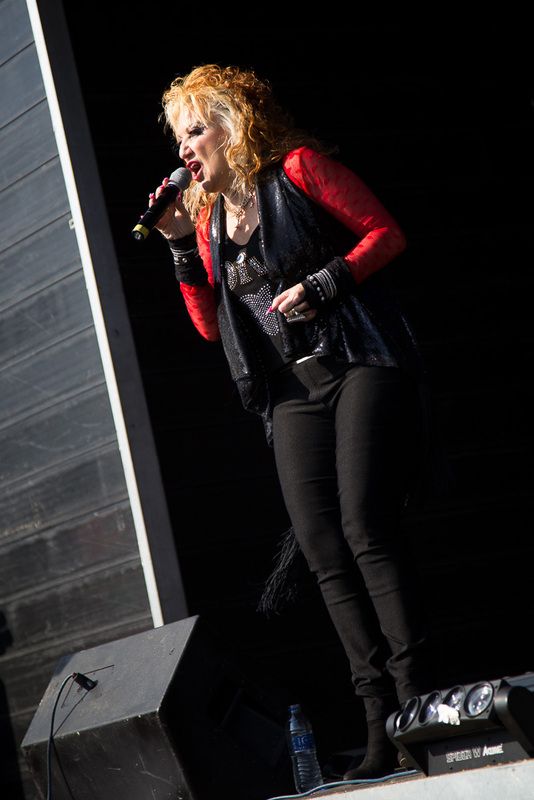 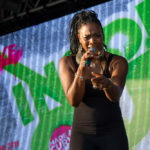 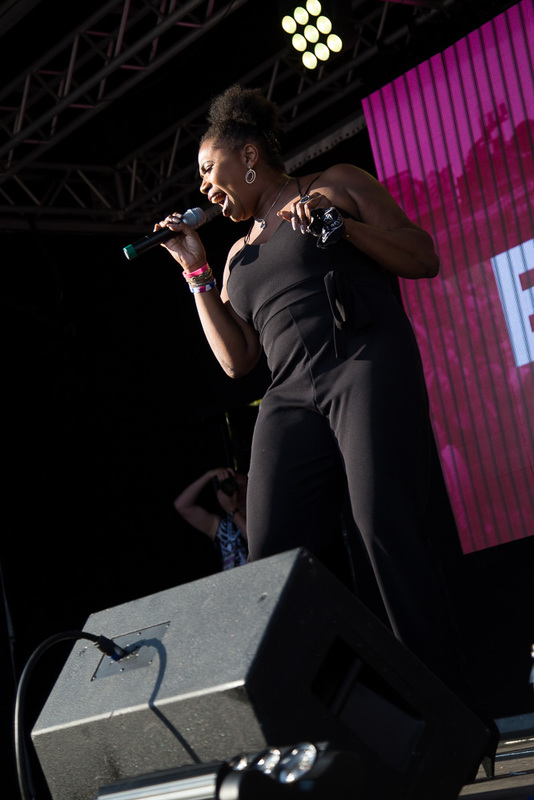 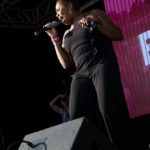 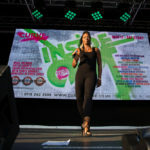 In between we had performances from Brenda Edwards, Britain’s Got Talent finalist La Voix, Linin’ Joy and many more. 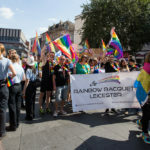 The sun was shining throughout the day, it was really well attended, the biggest Leicester Pride parade I’ve seen and the event on Victoria Park seemed to have a lot more people than normal as well. 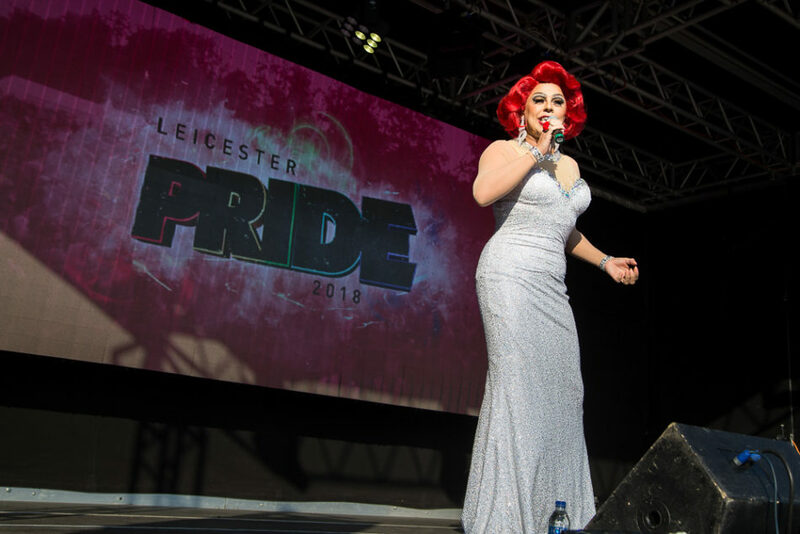 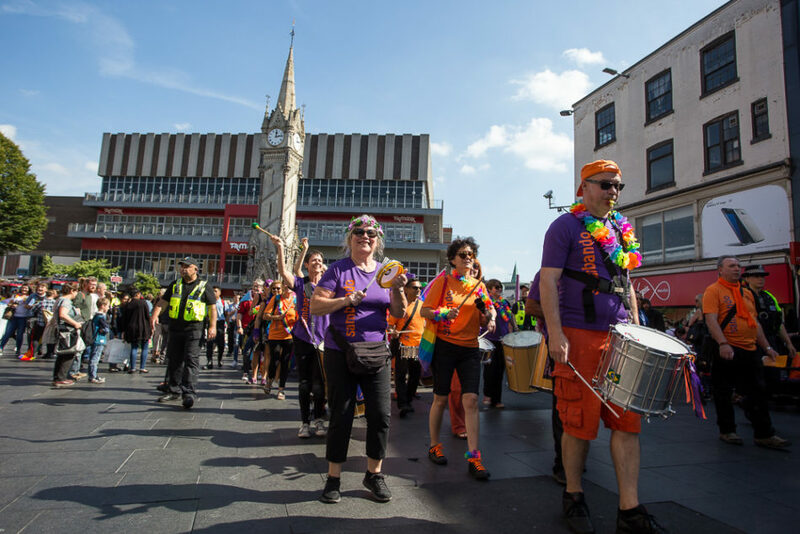 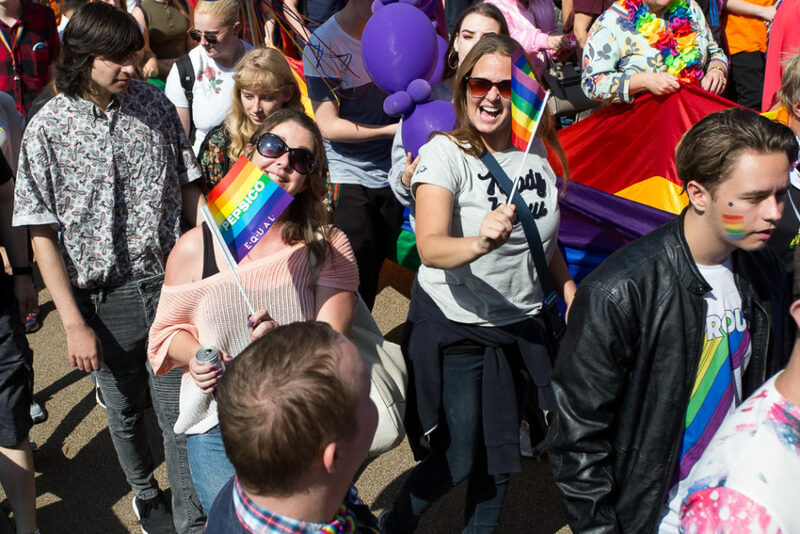 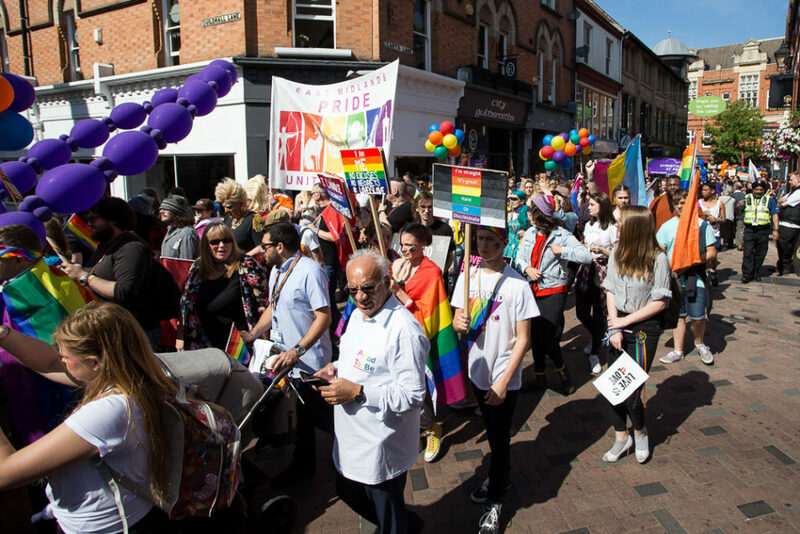 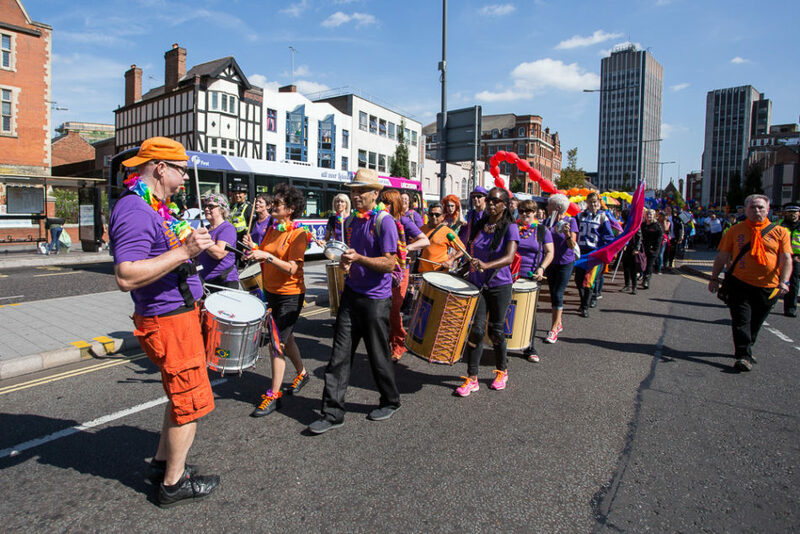 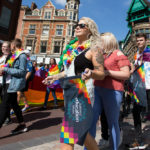 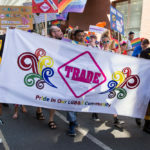 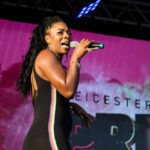 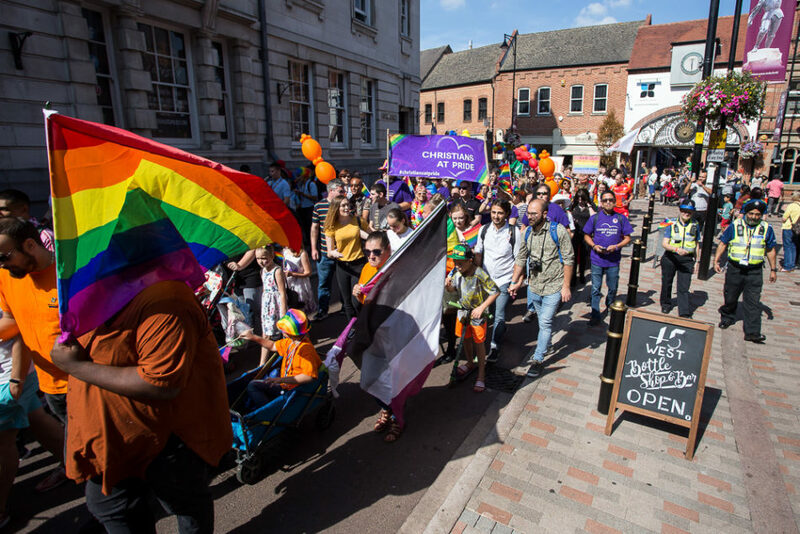 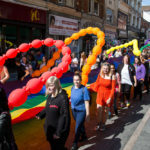 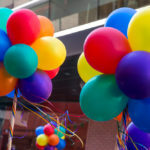 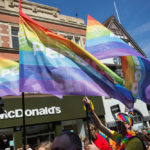 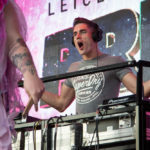 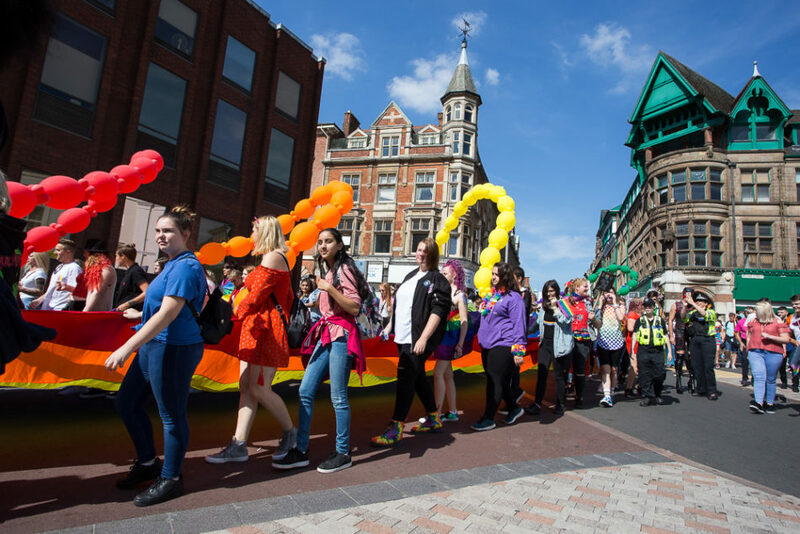 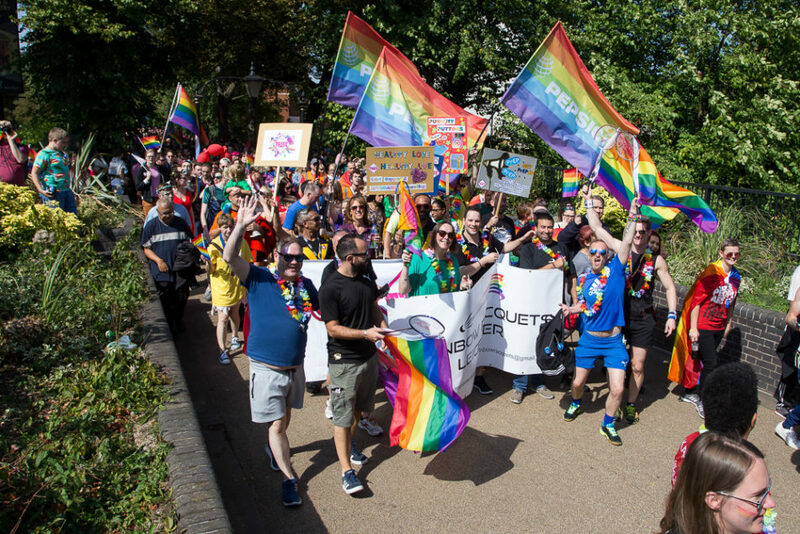 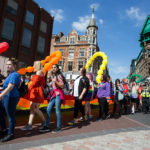 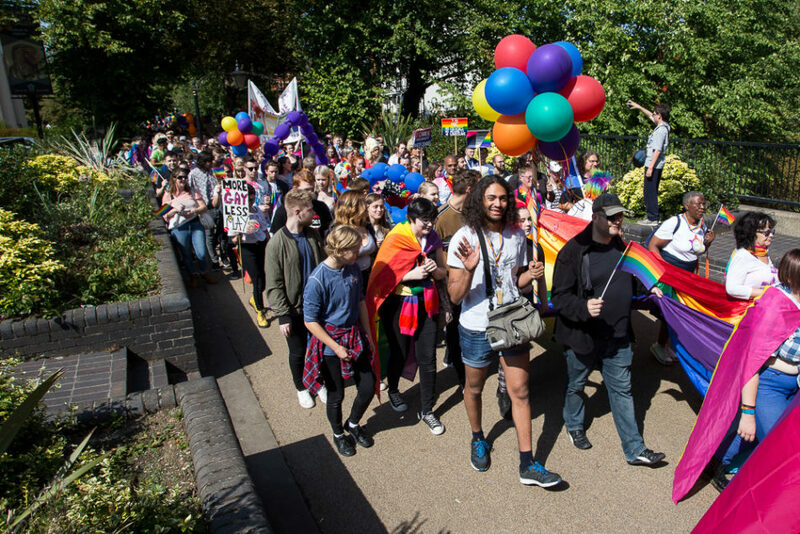 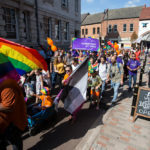 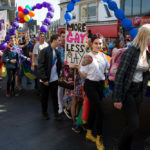 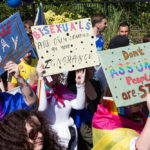 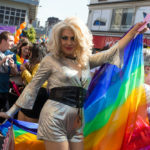 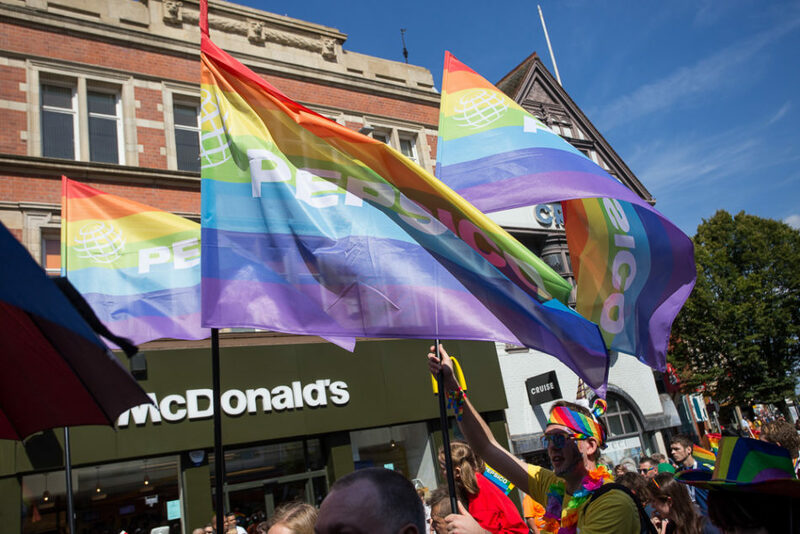 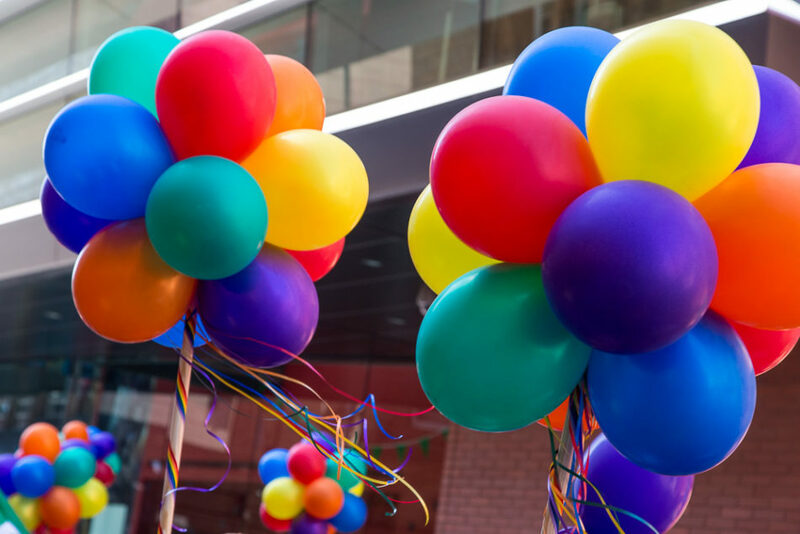 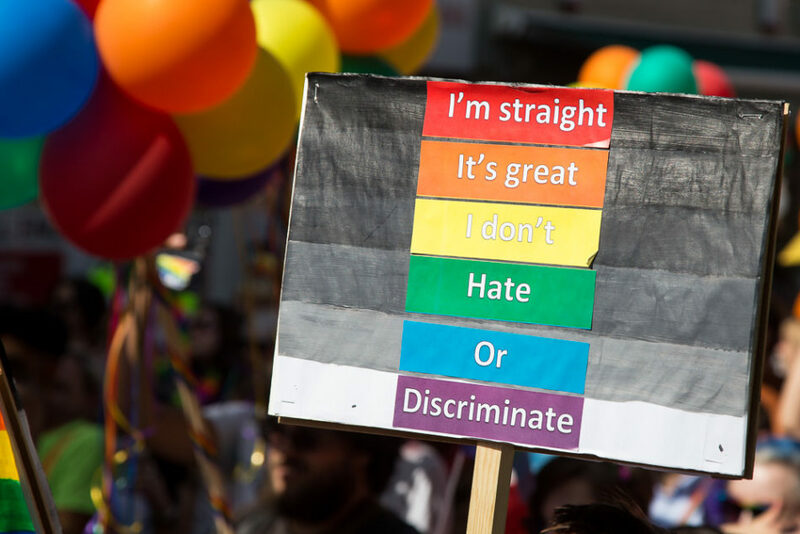 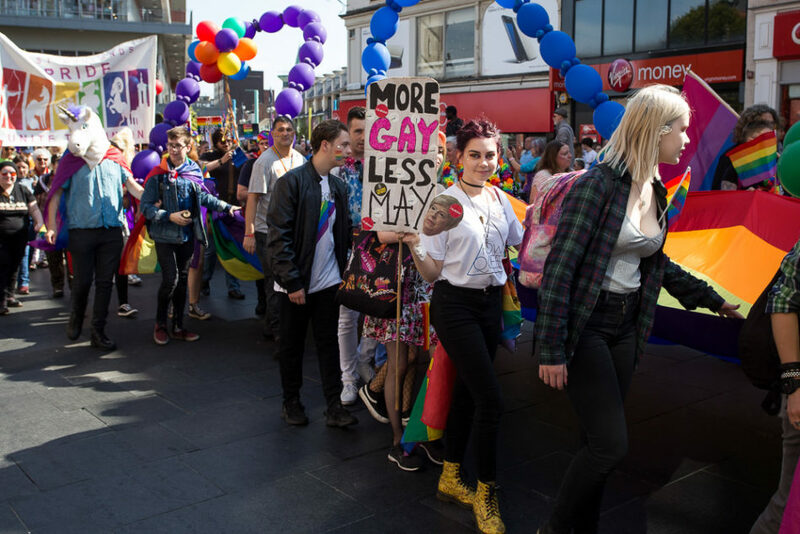 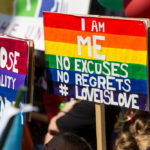 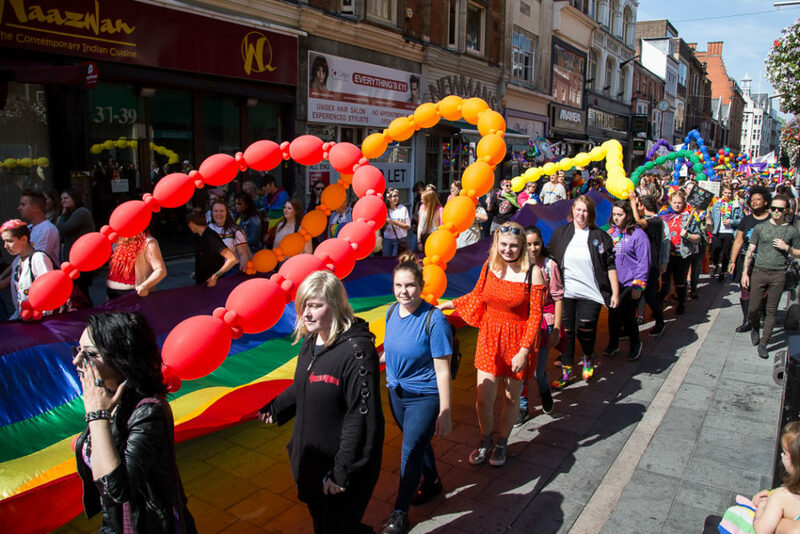 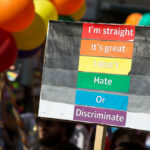 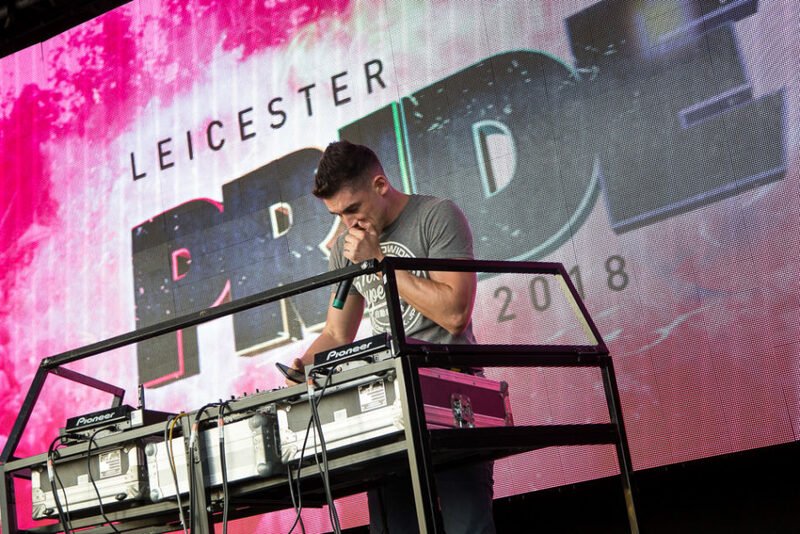 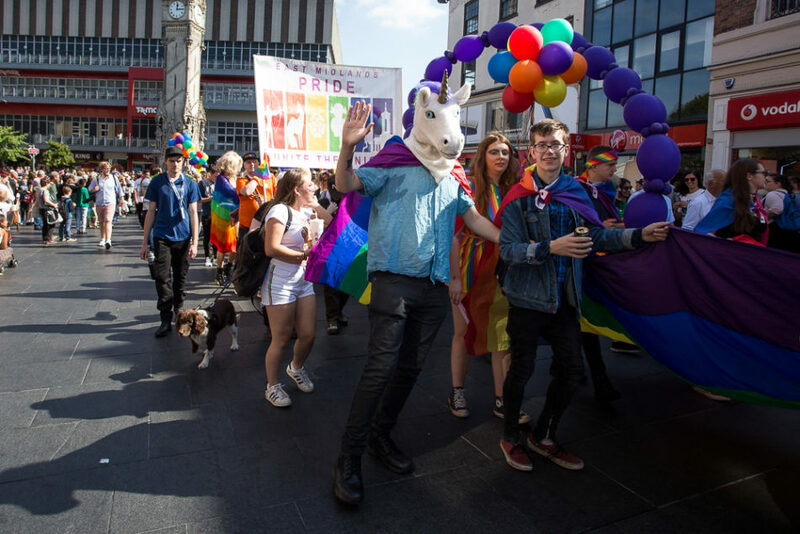 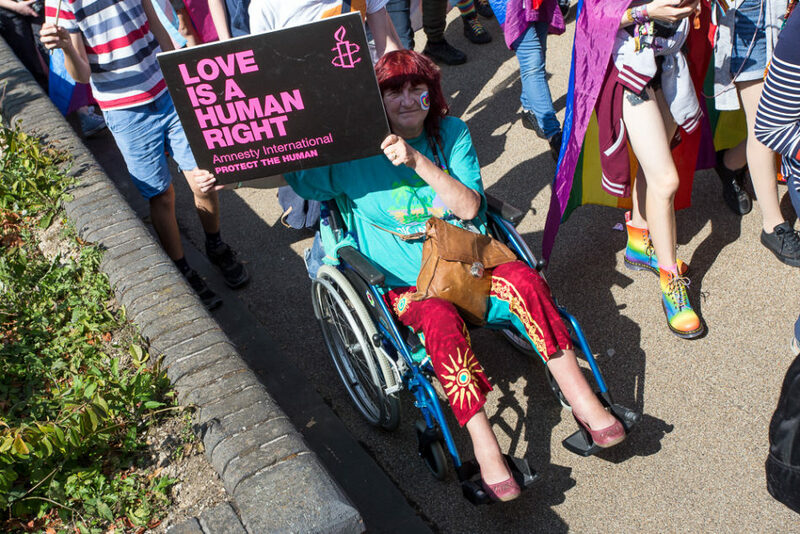 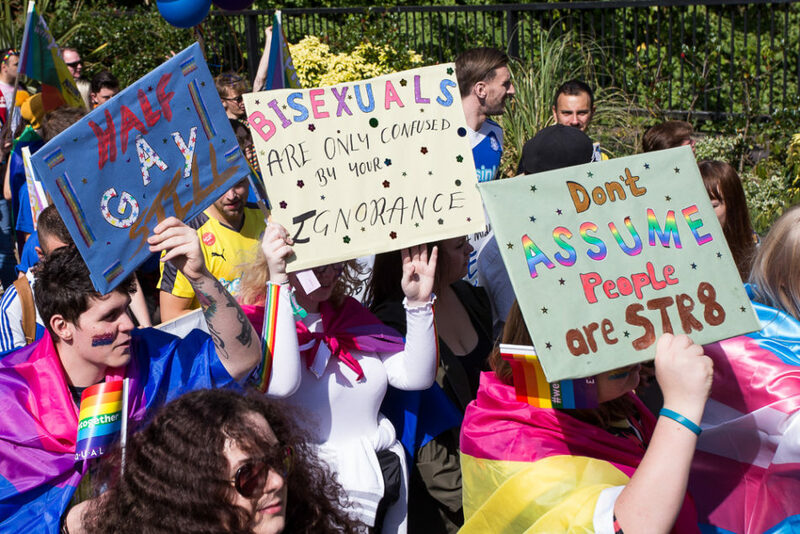 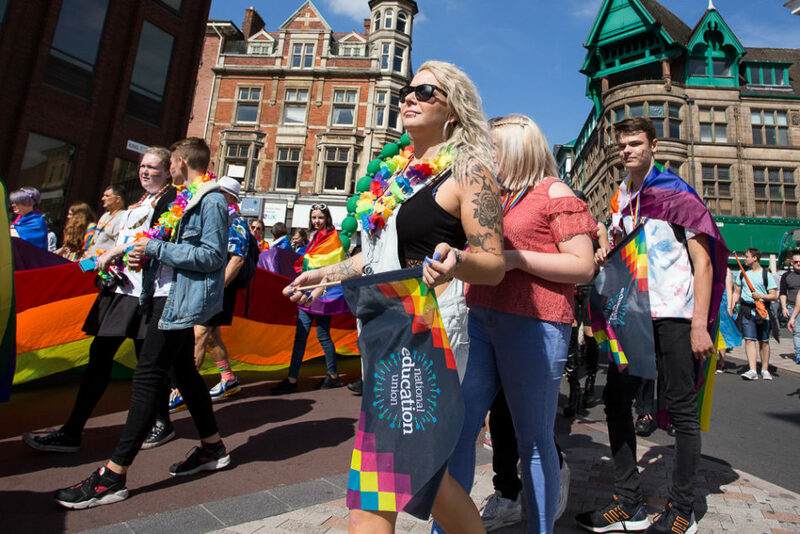 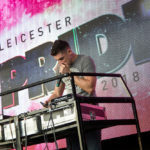 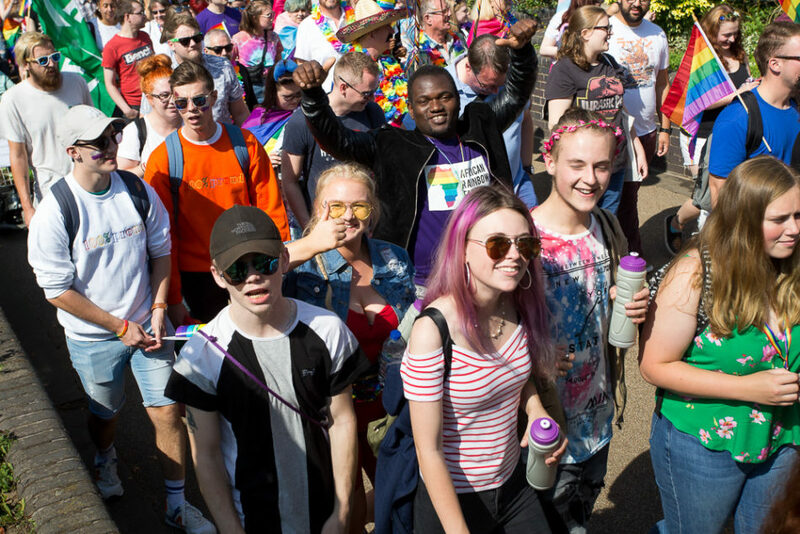 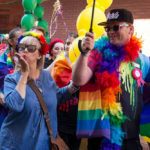 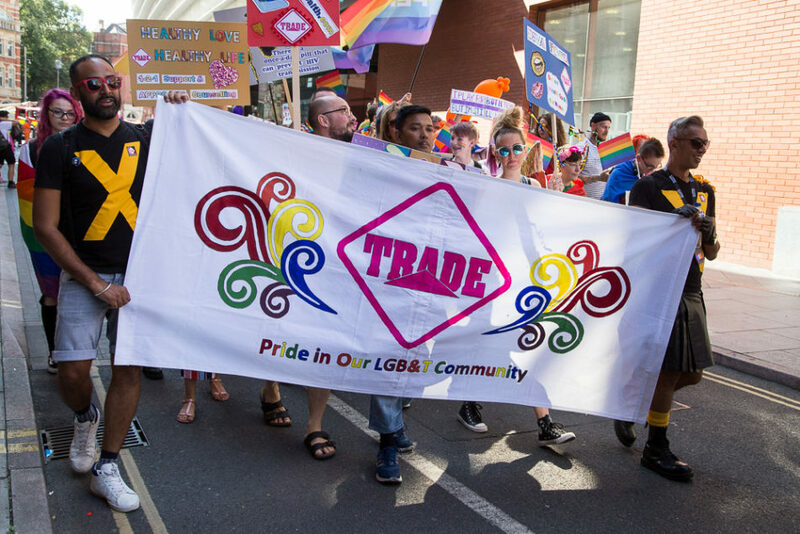 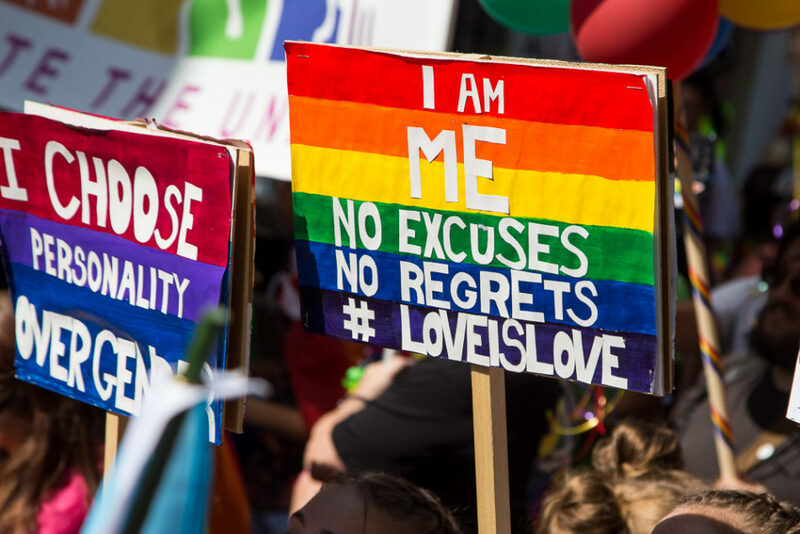 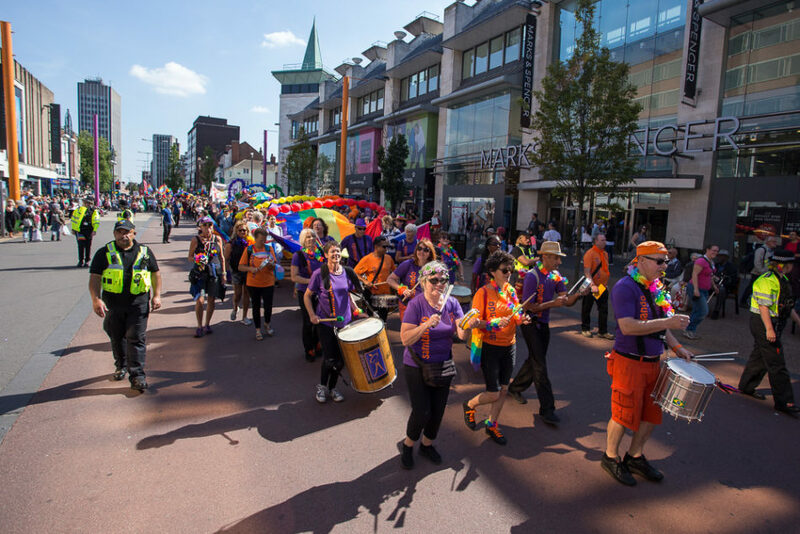 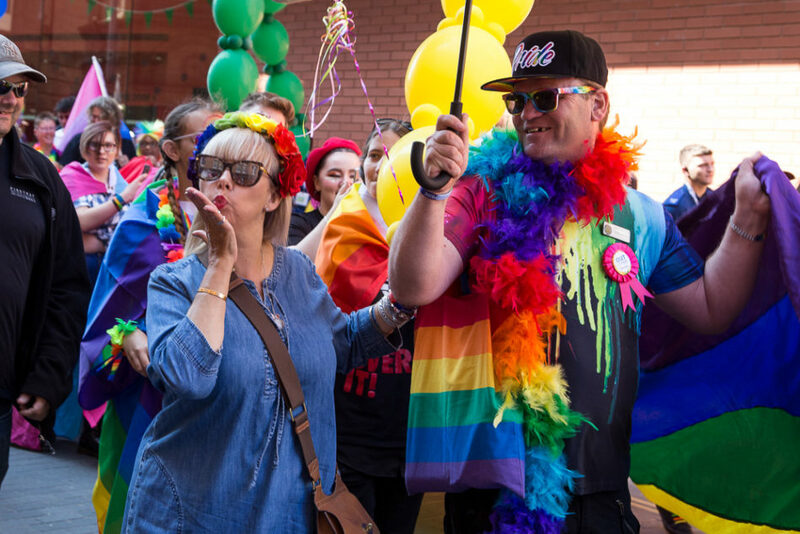 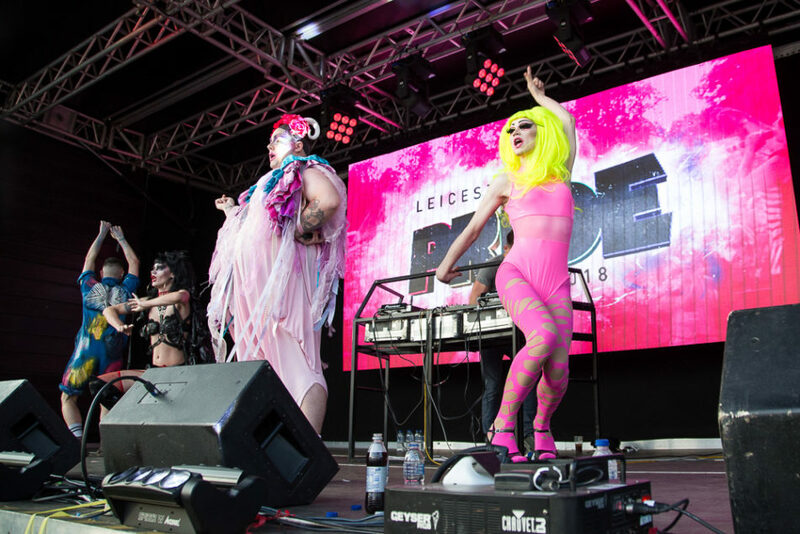 It was a fabulous way to celebrate 10 years of Leicester Pride and I’ve heard a lot of praise from people I know who attended the event this year.